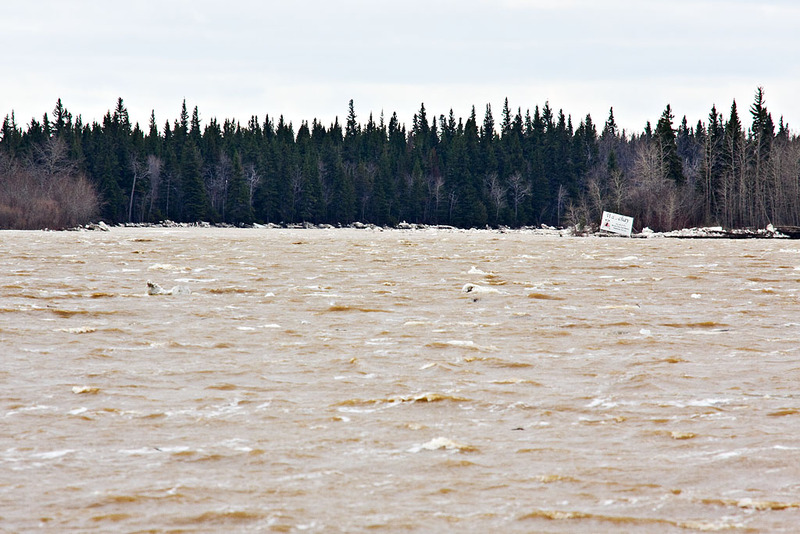 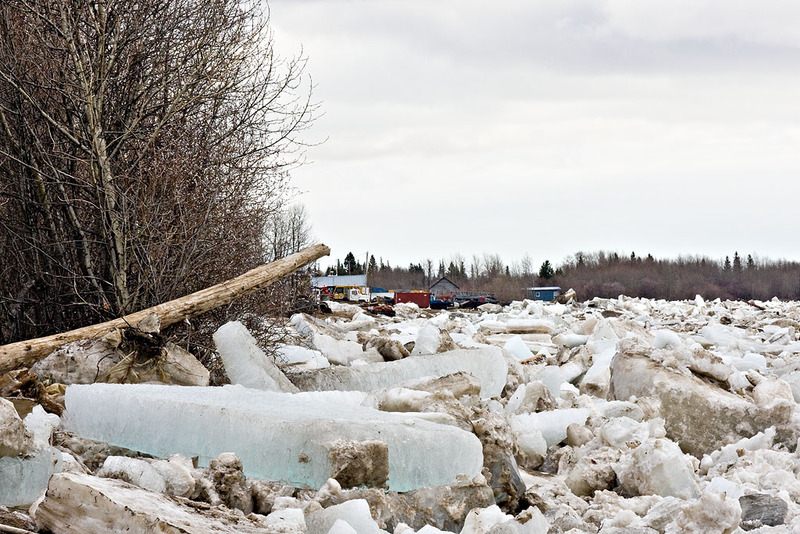 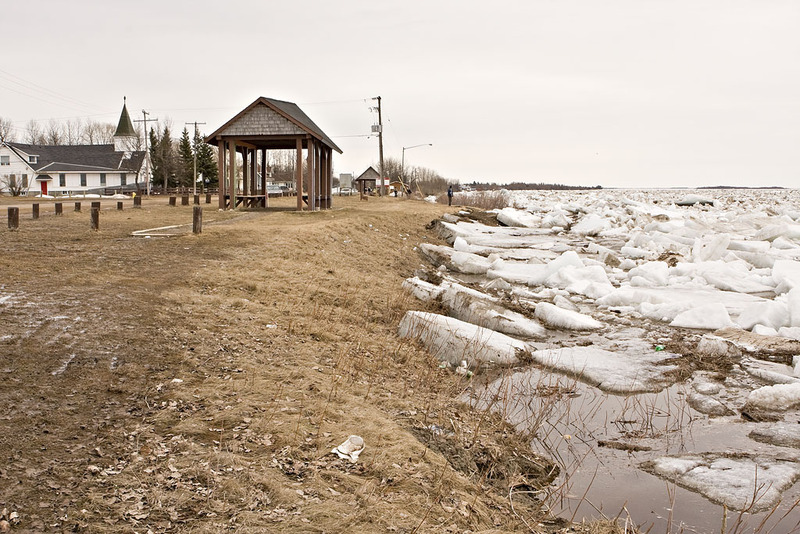 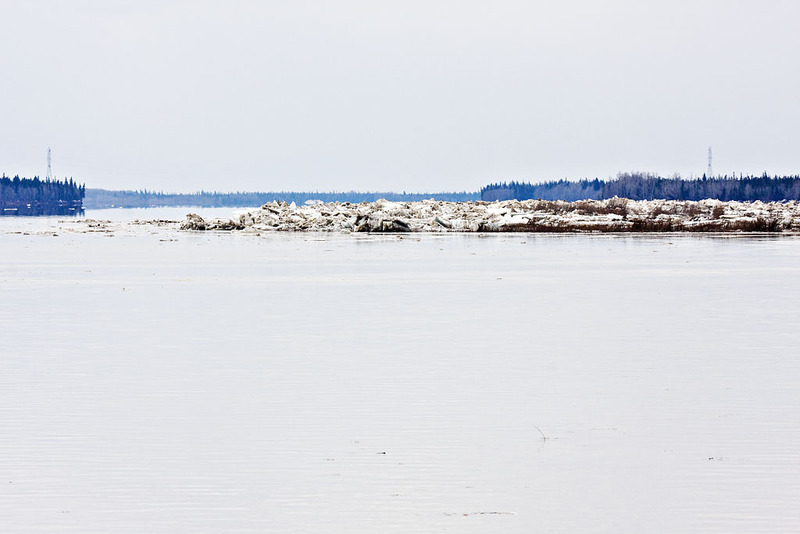 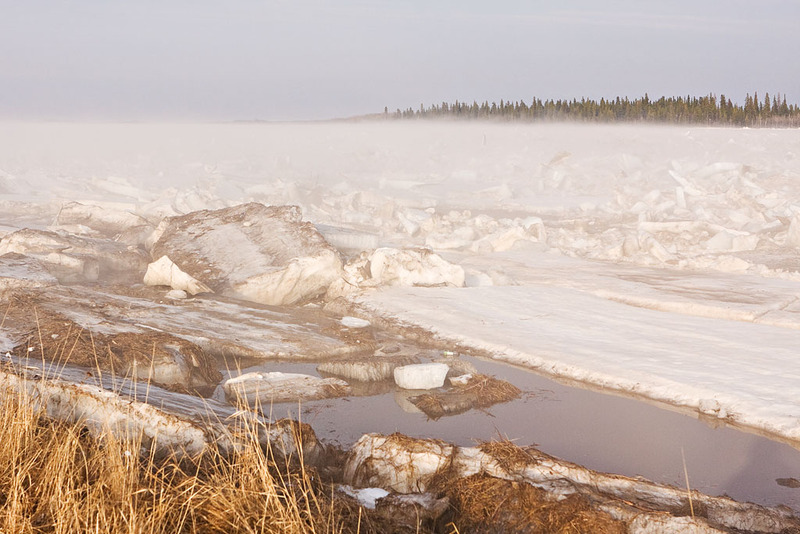 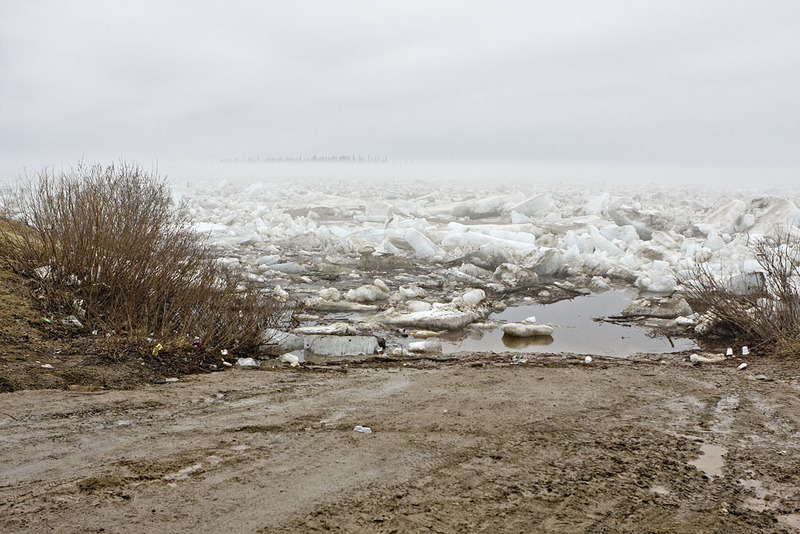 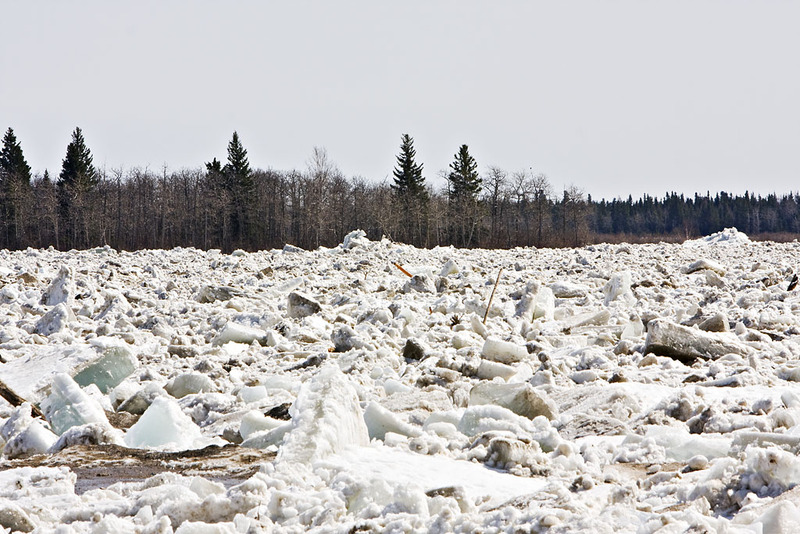 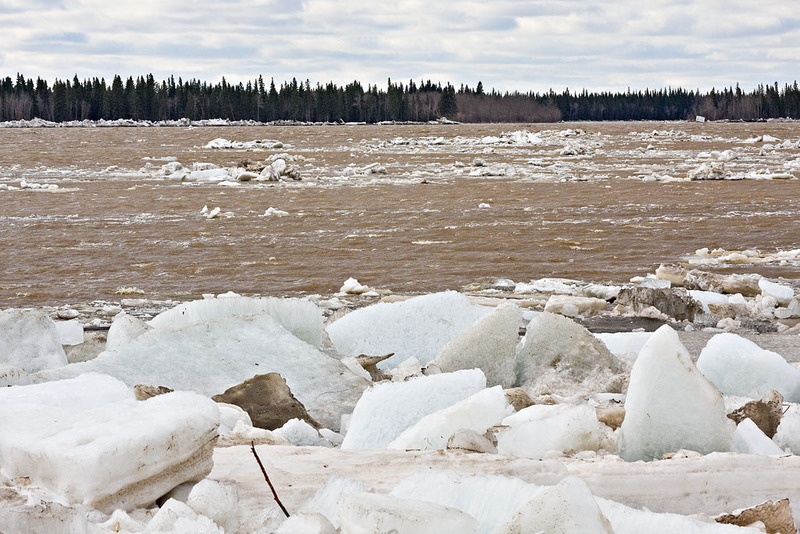 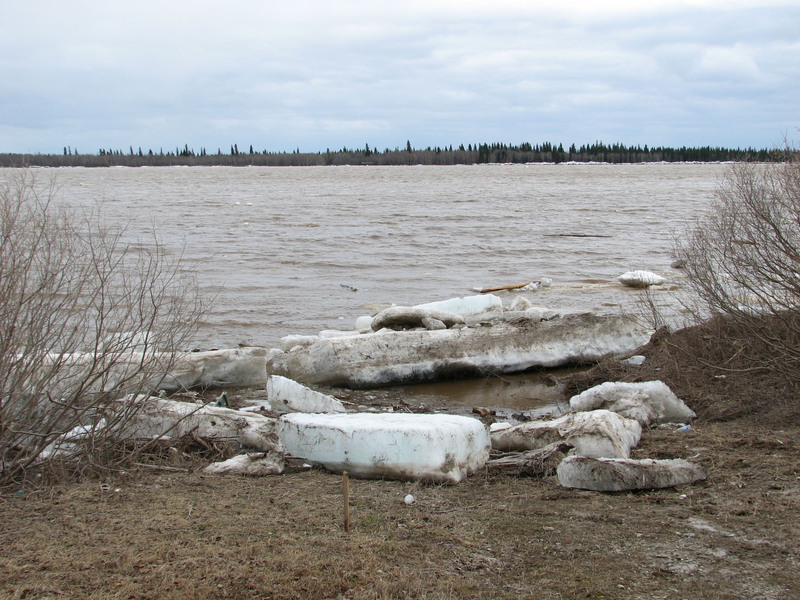 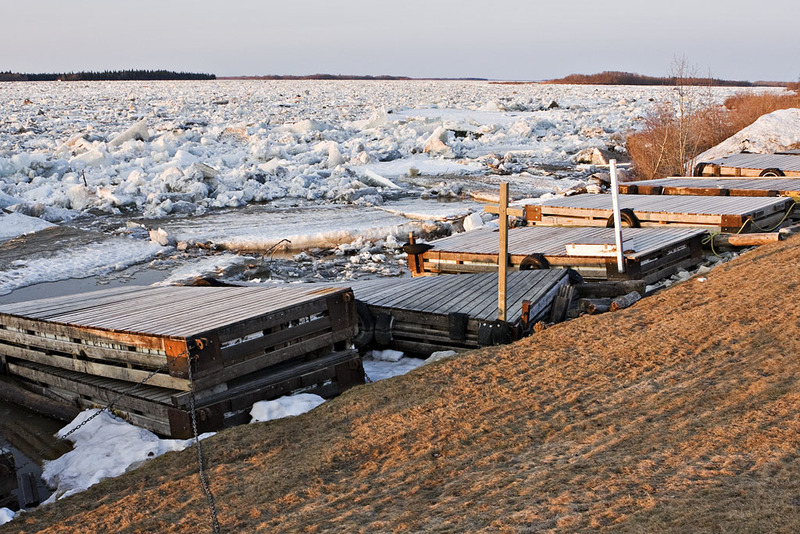 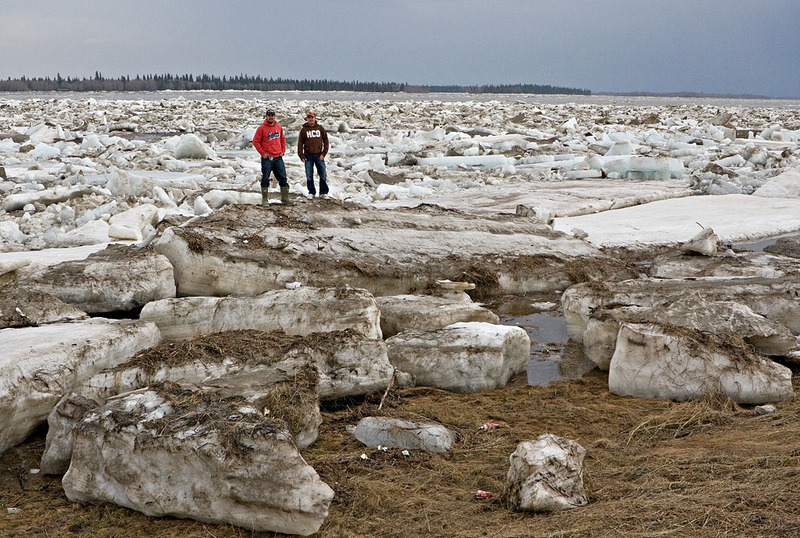 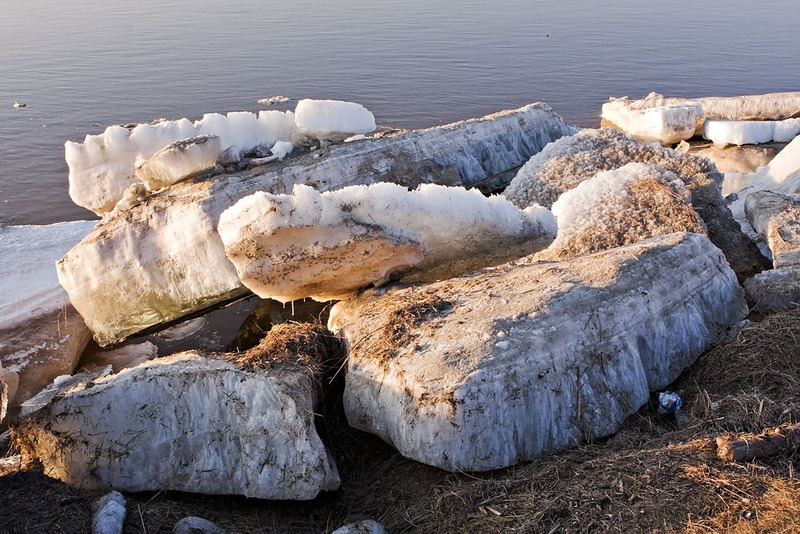 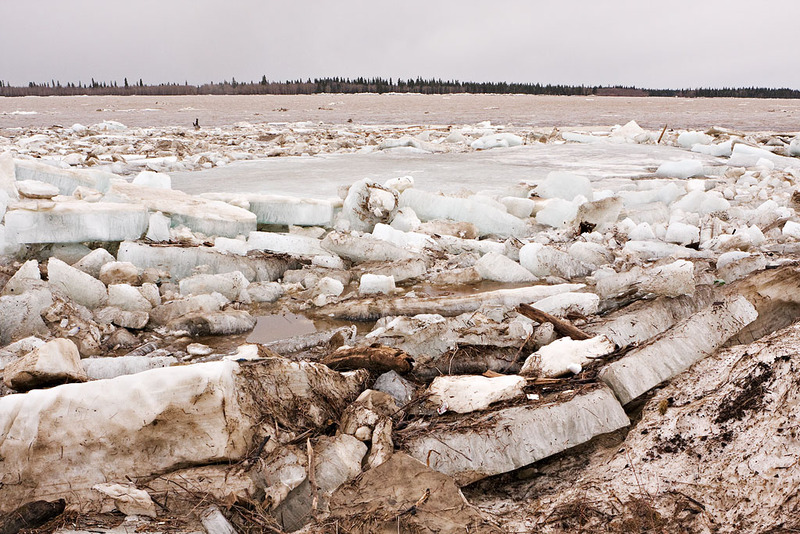 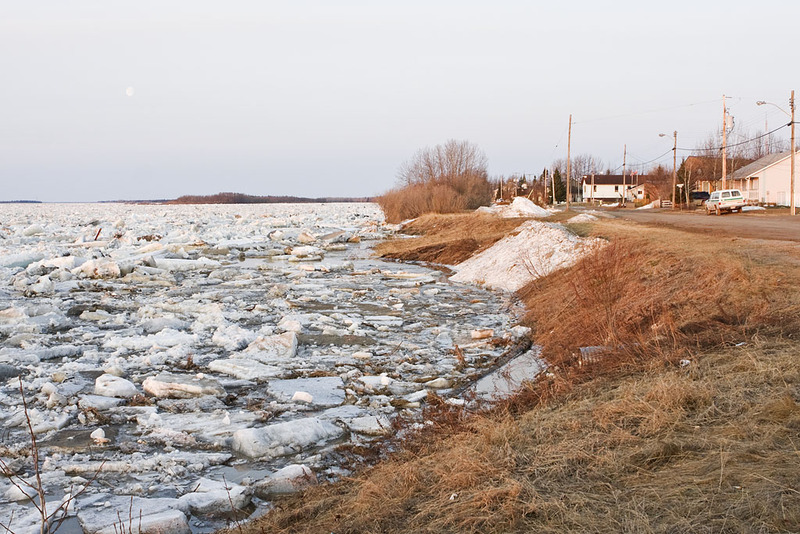 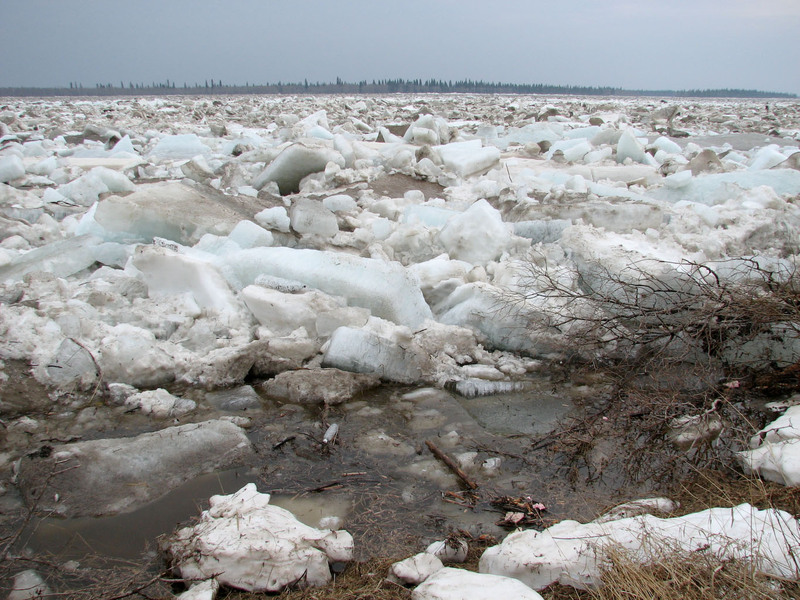 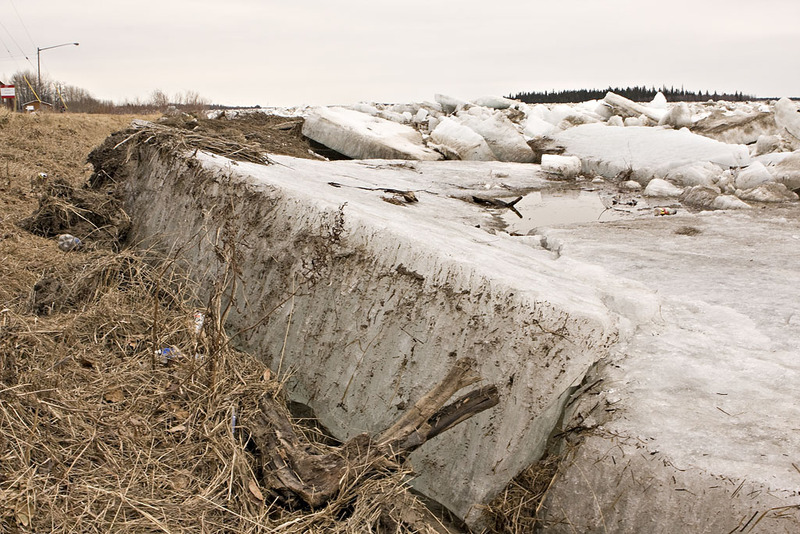 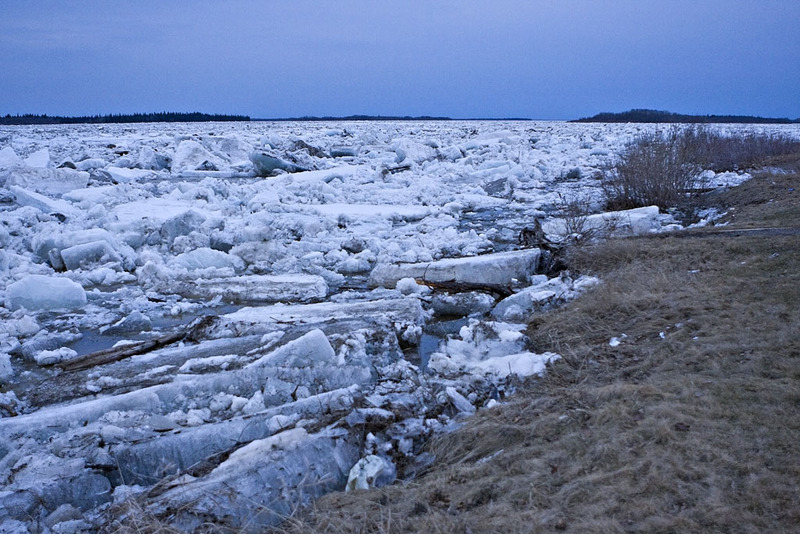 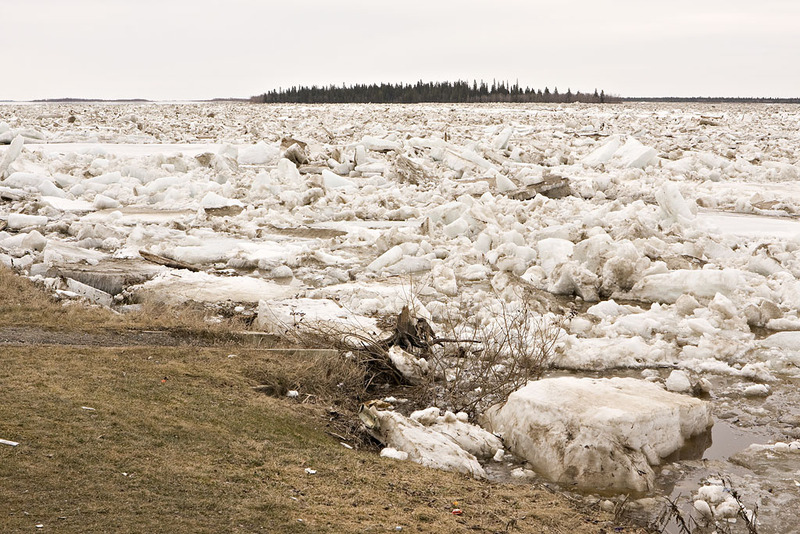 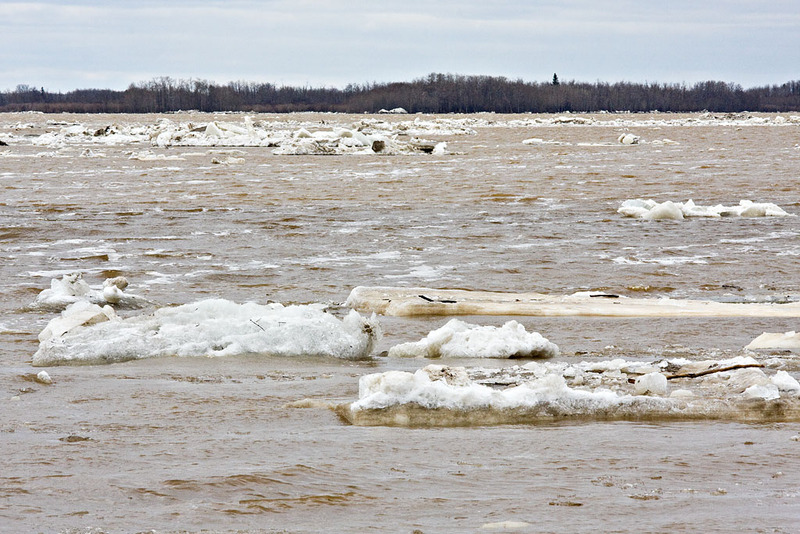 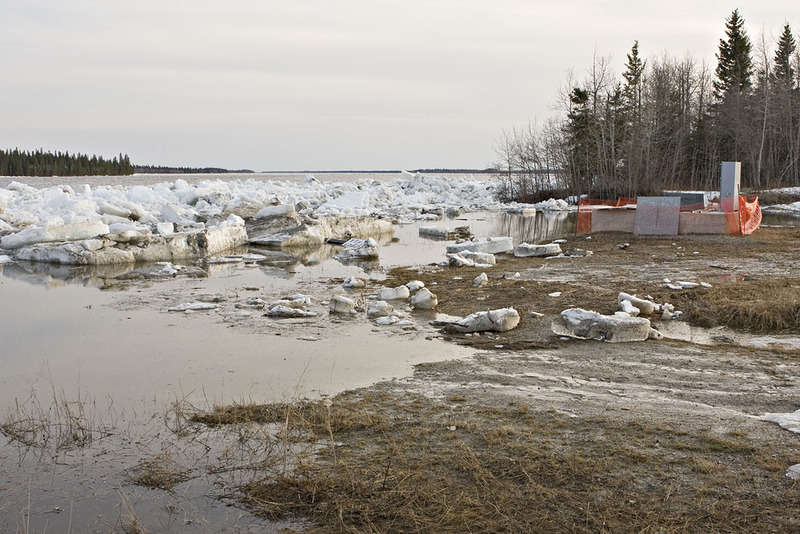 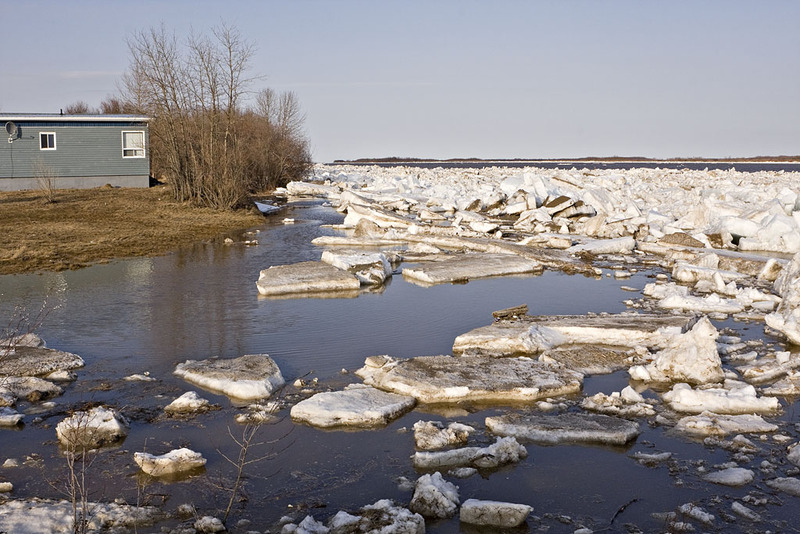 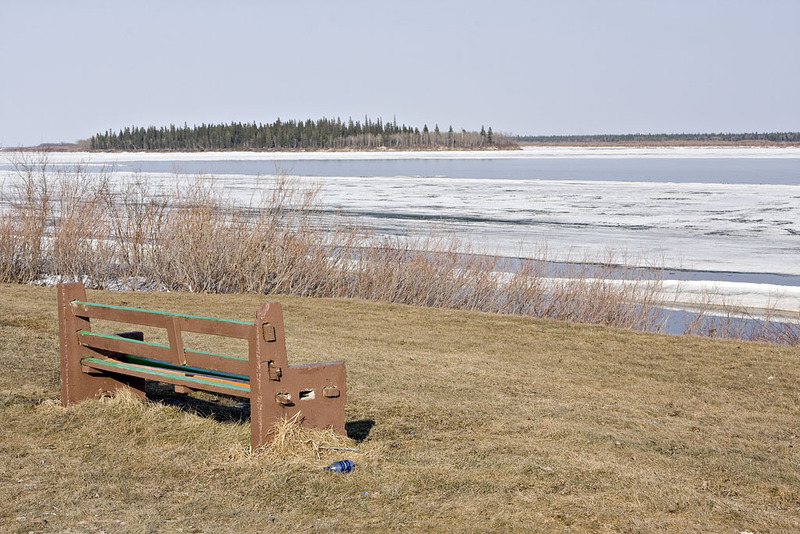 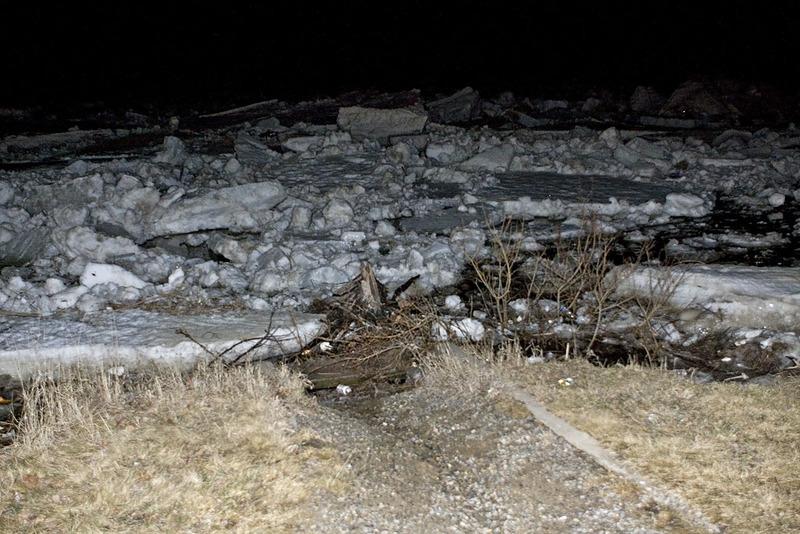 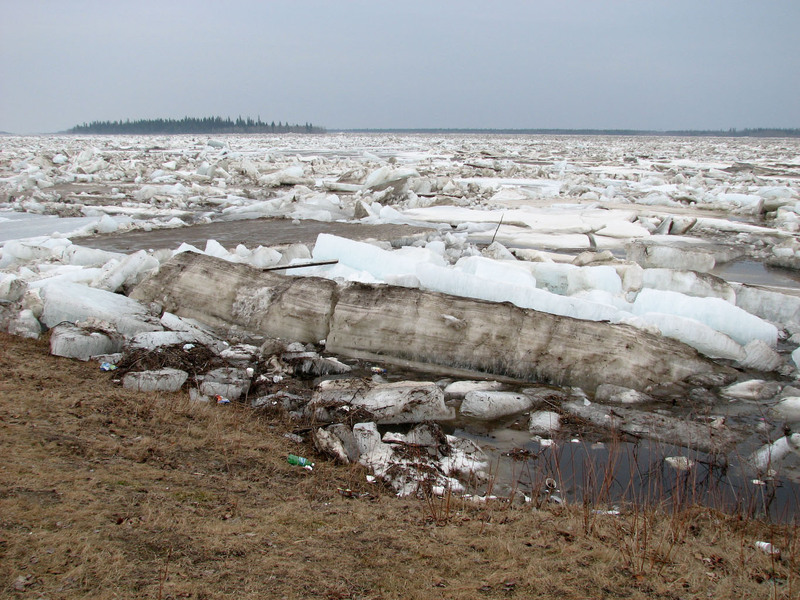 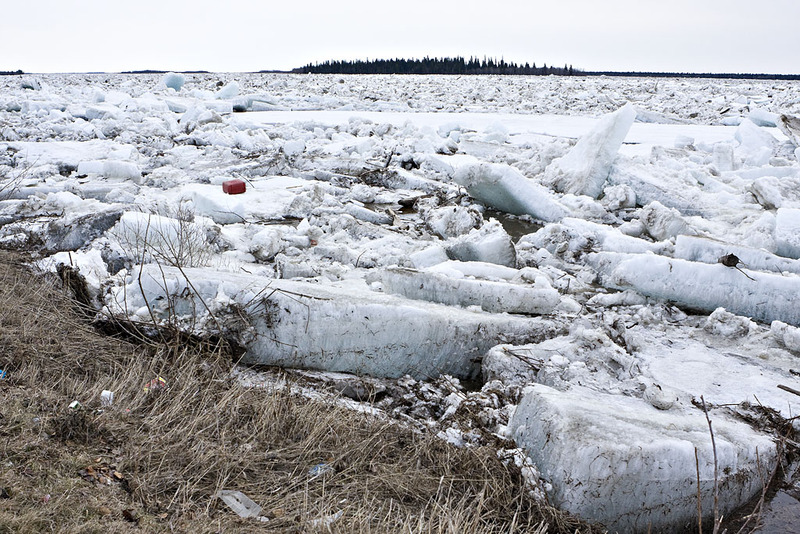 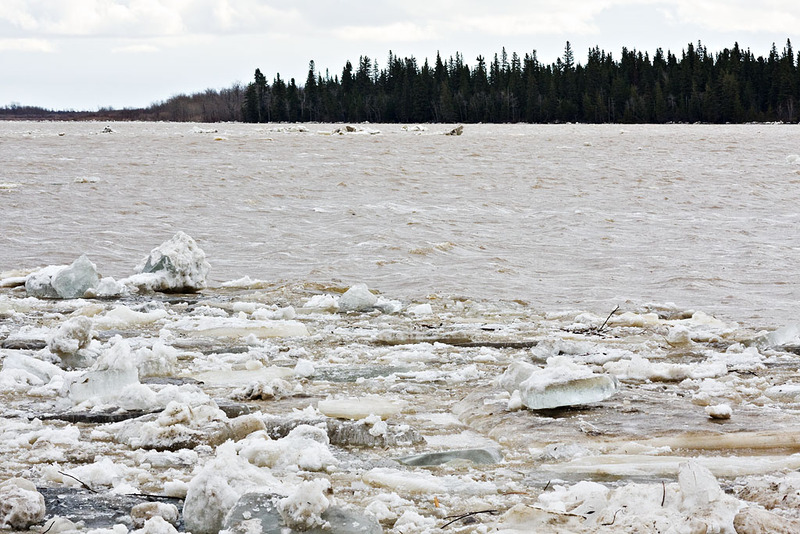 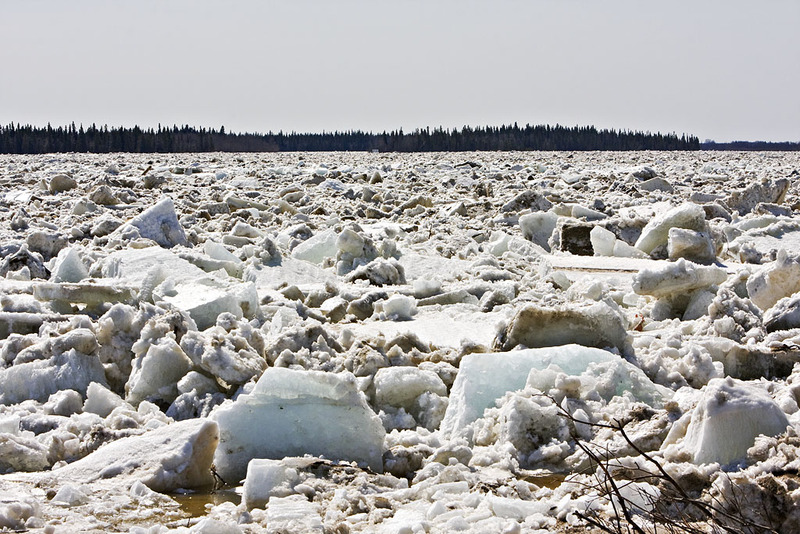 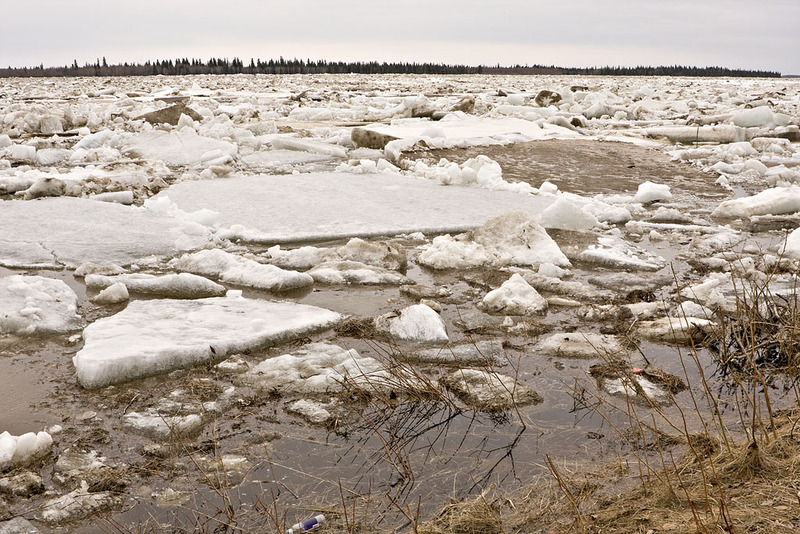 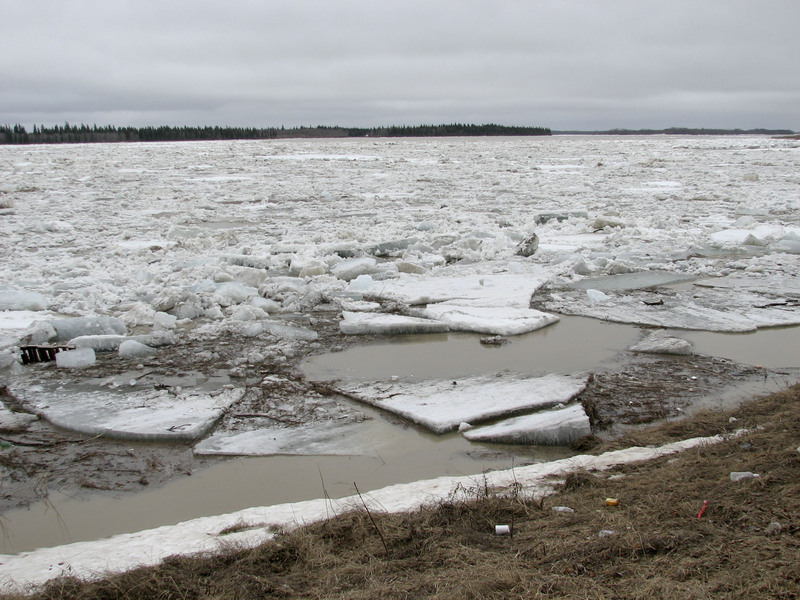 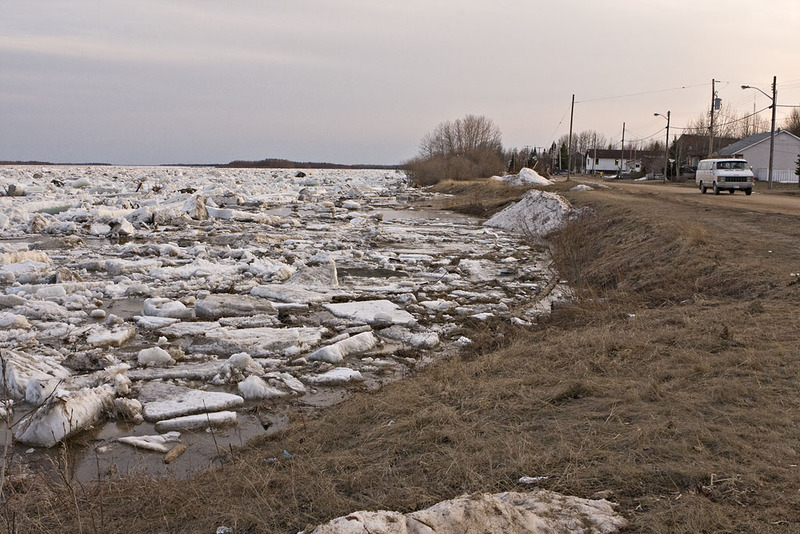 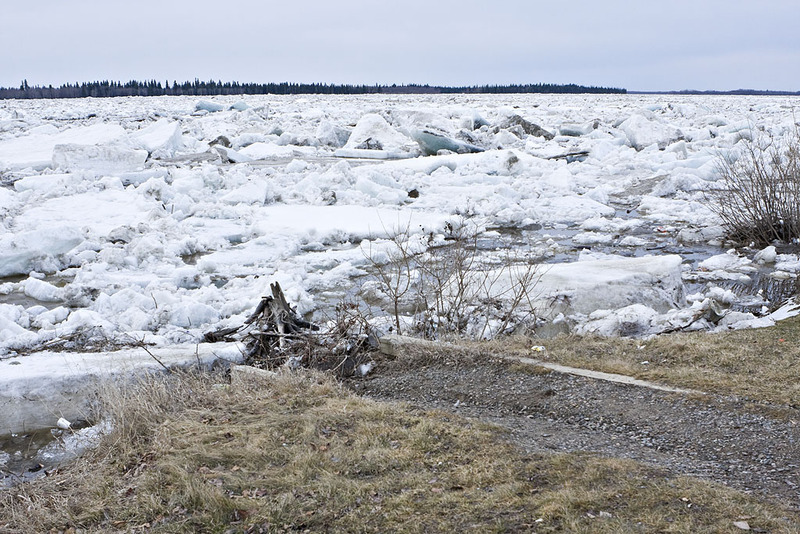 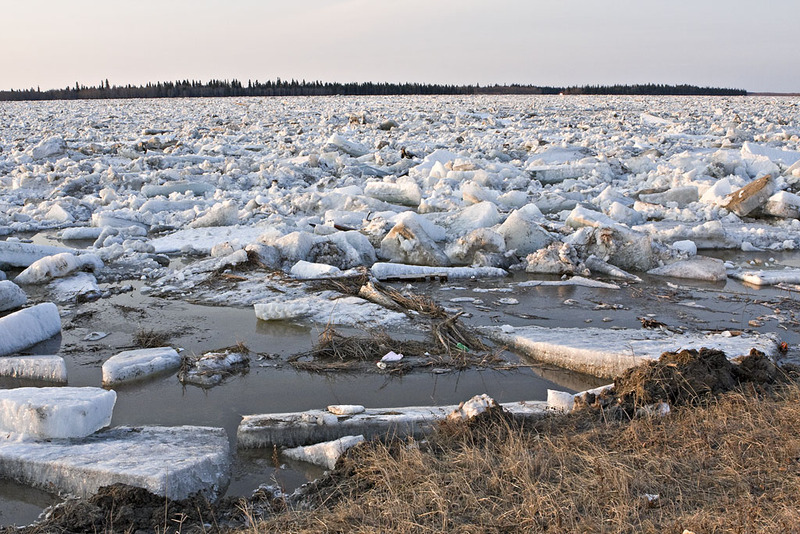 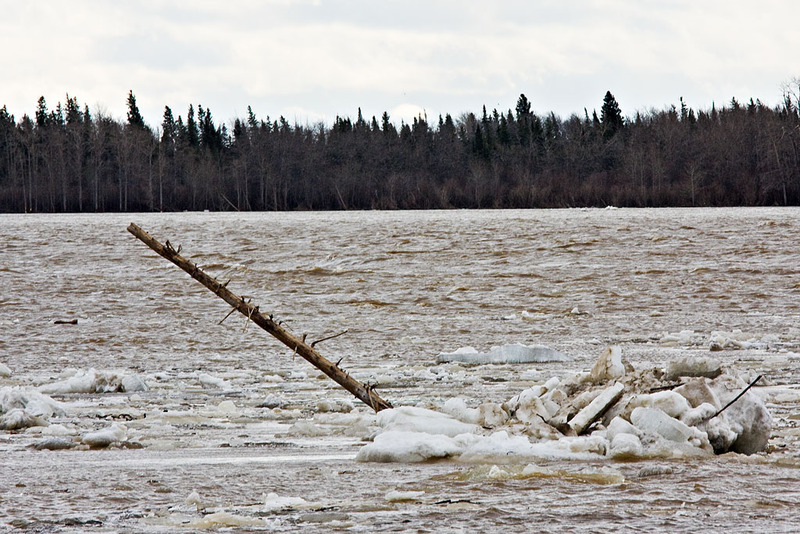 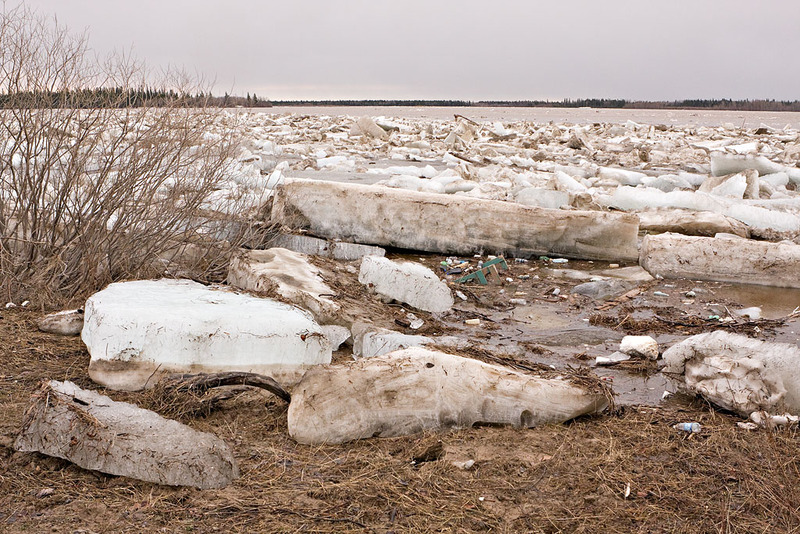 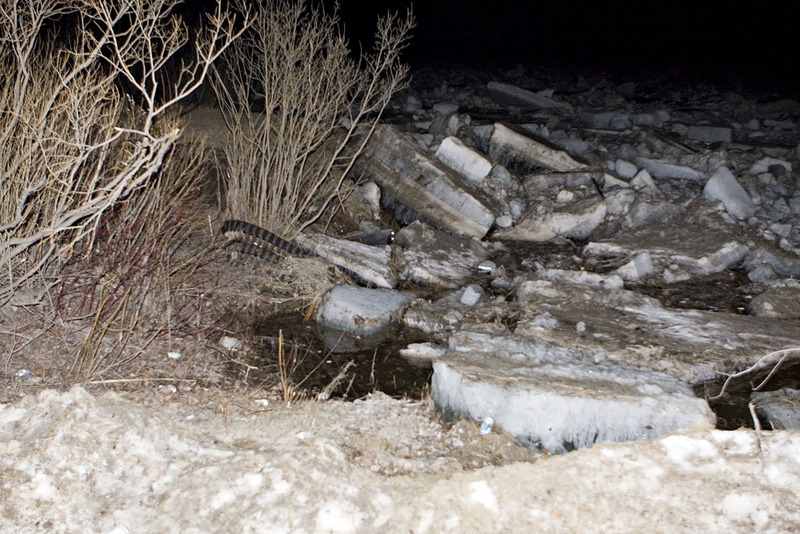 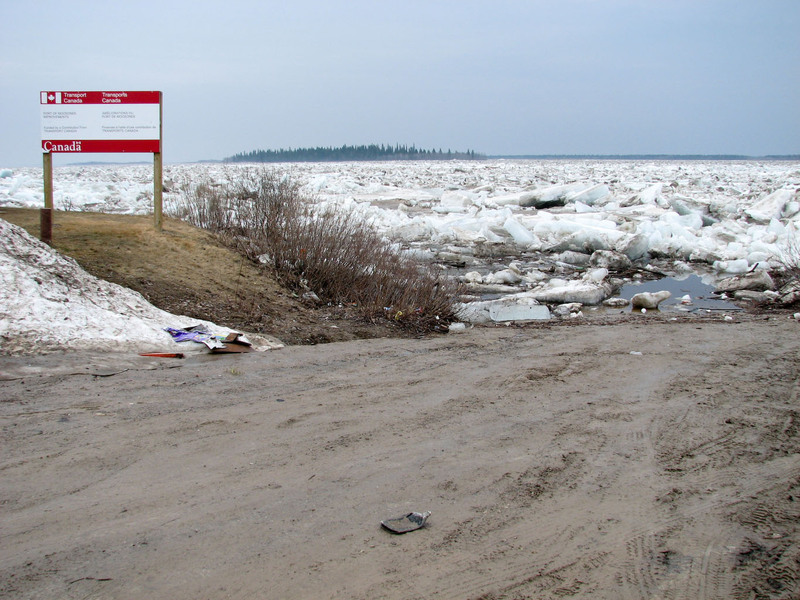 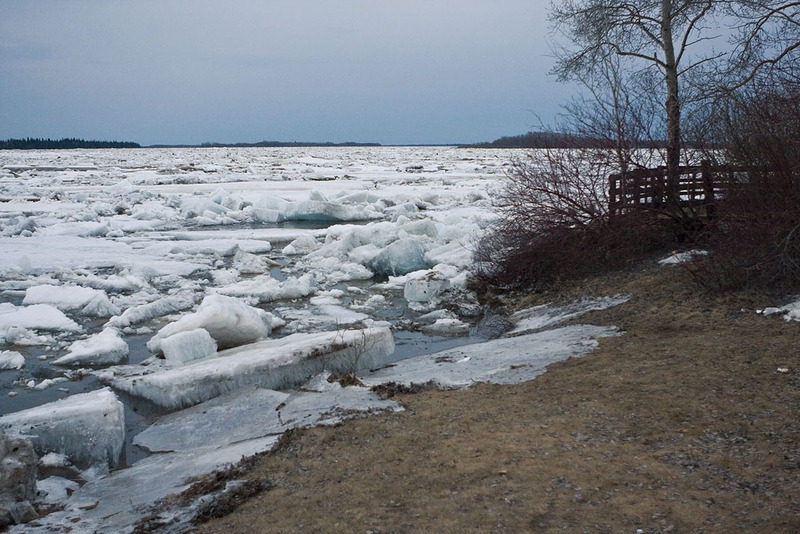 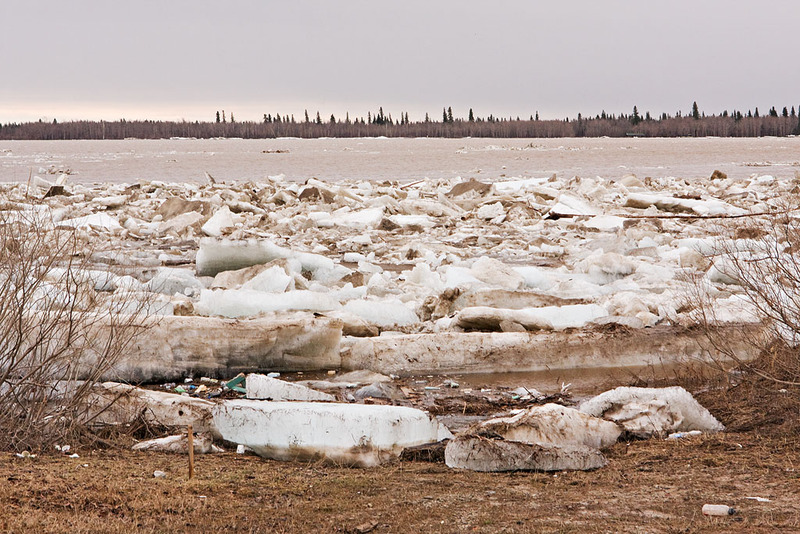 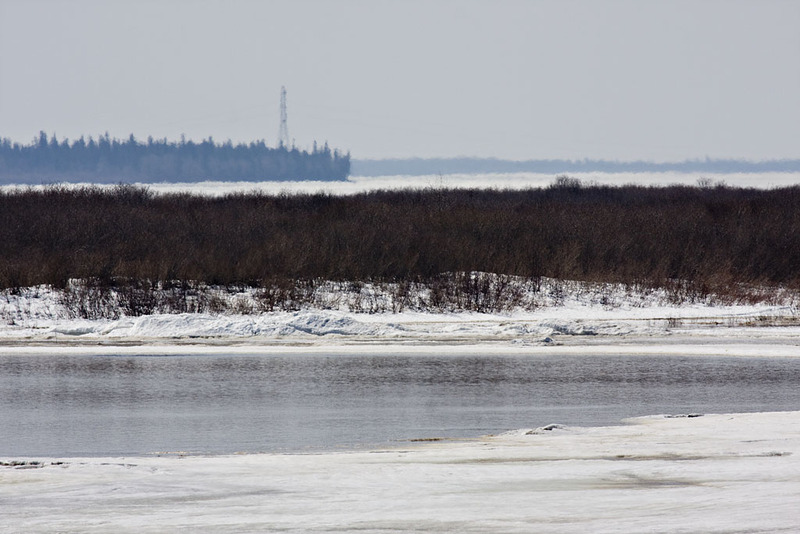 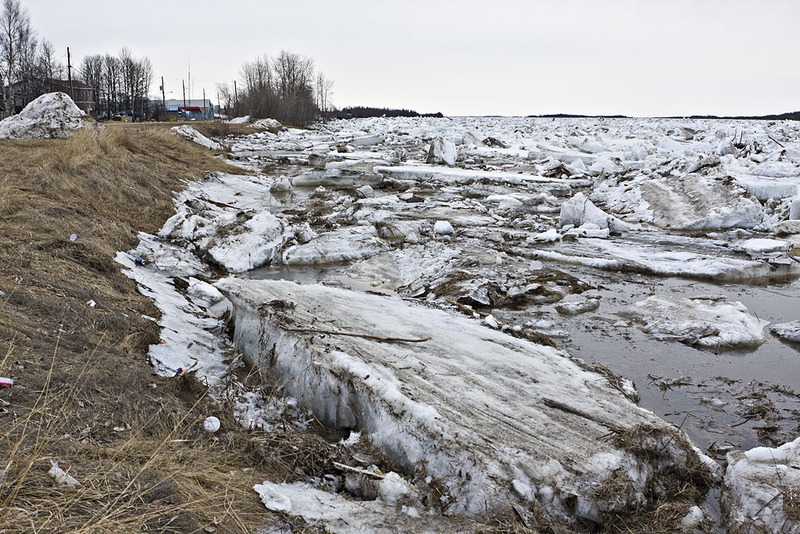 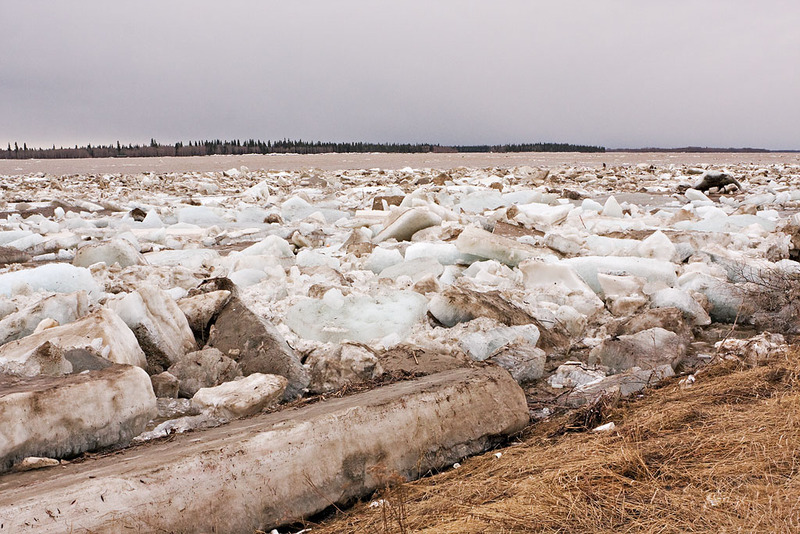 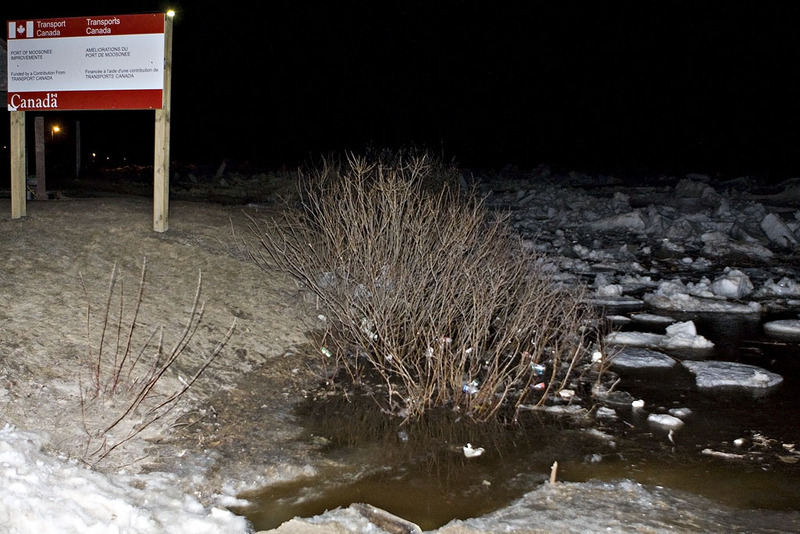 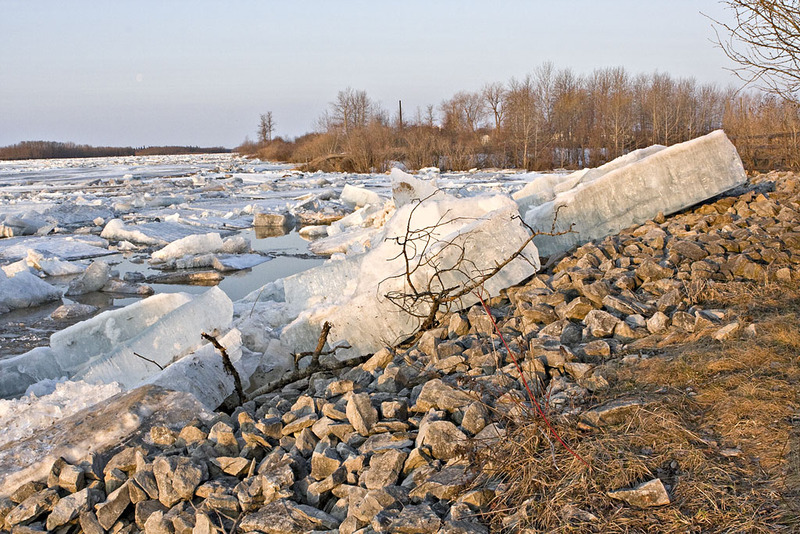 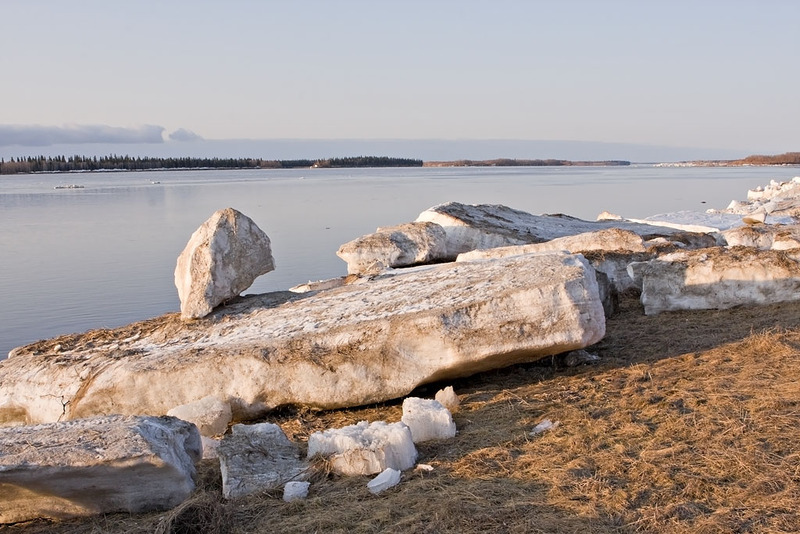 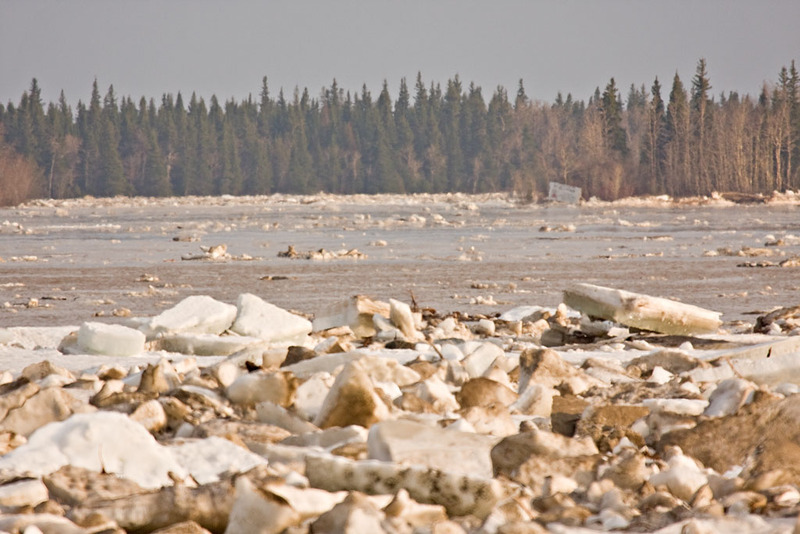 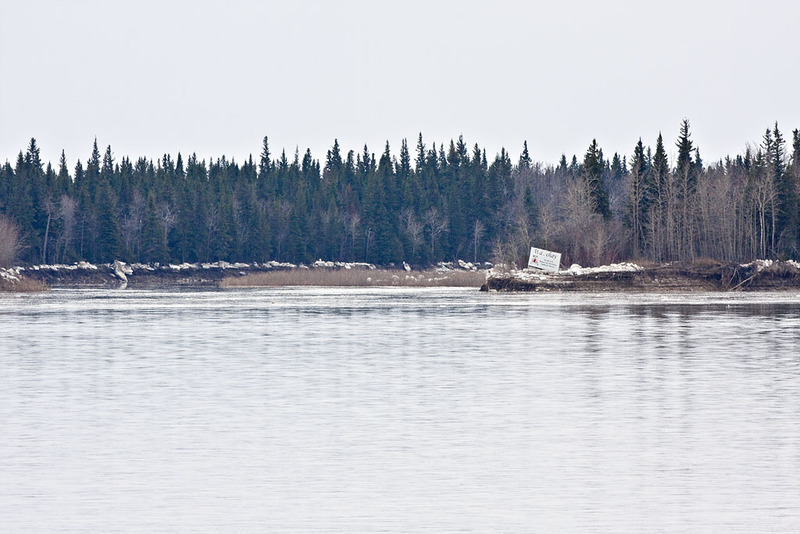 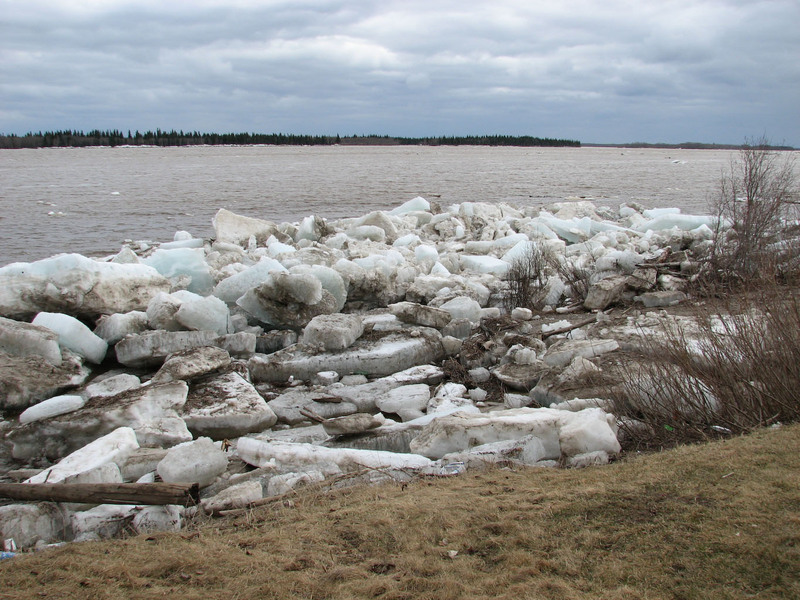 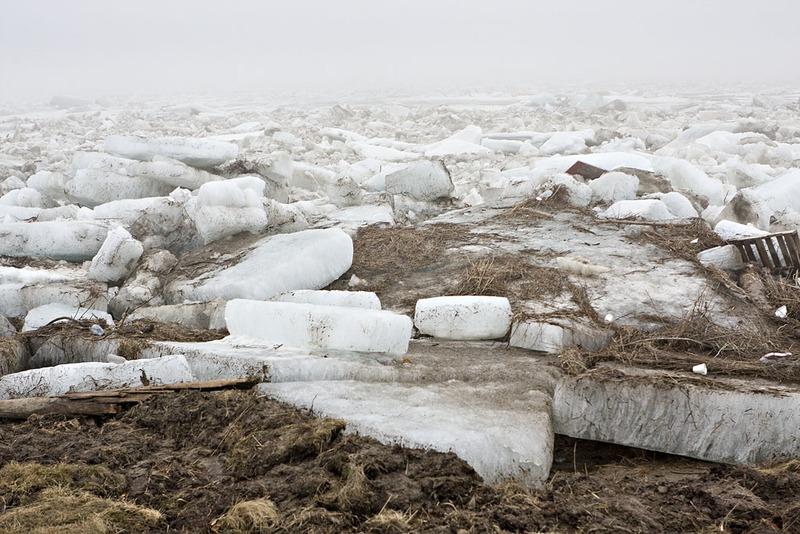 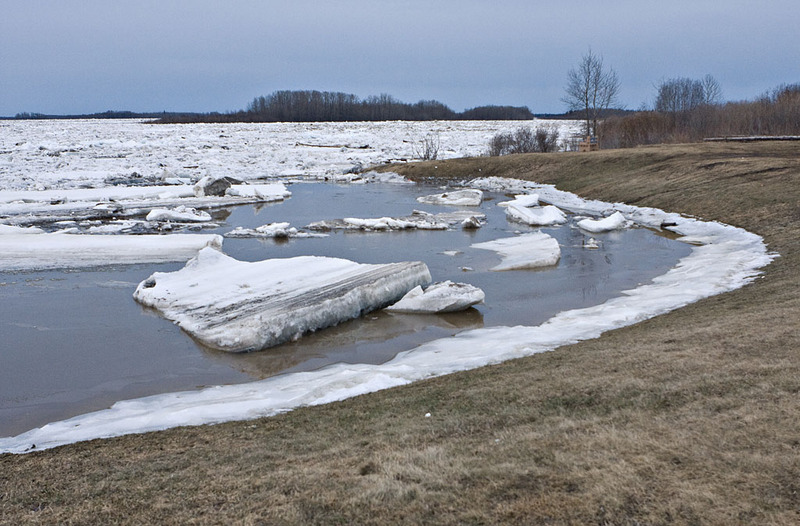 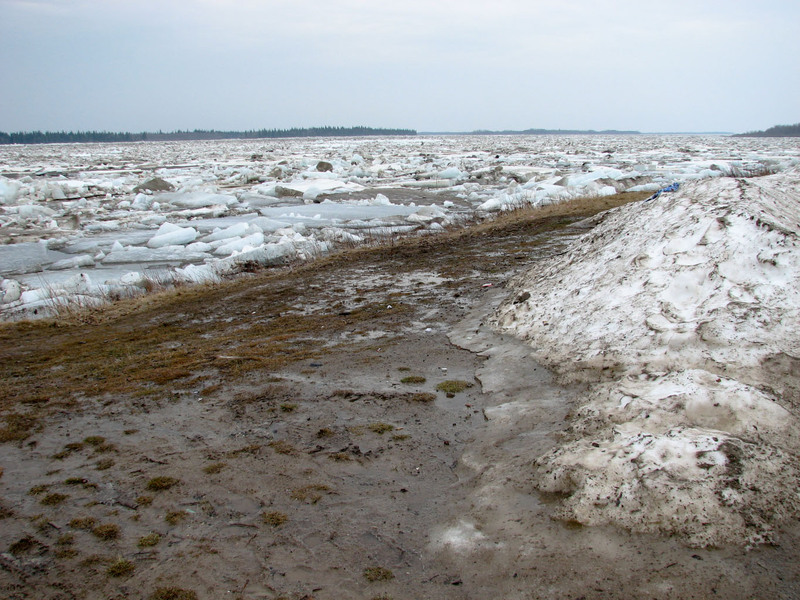 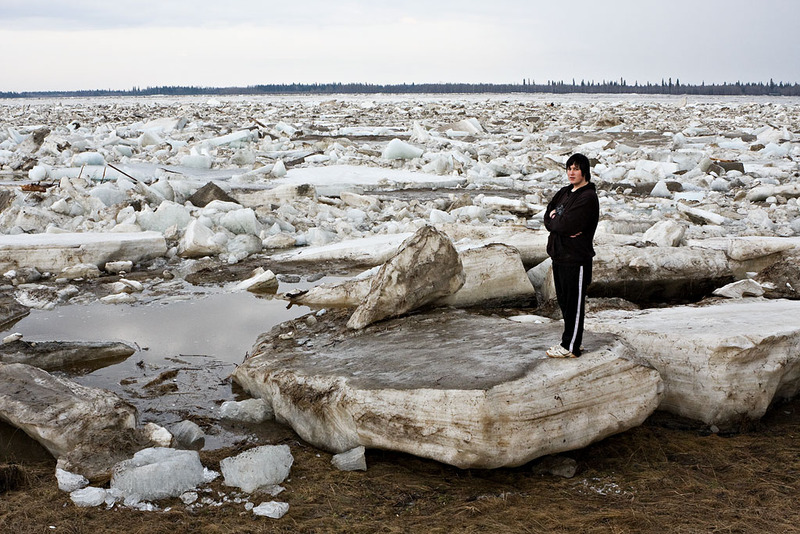 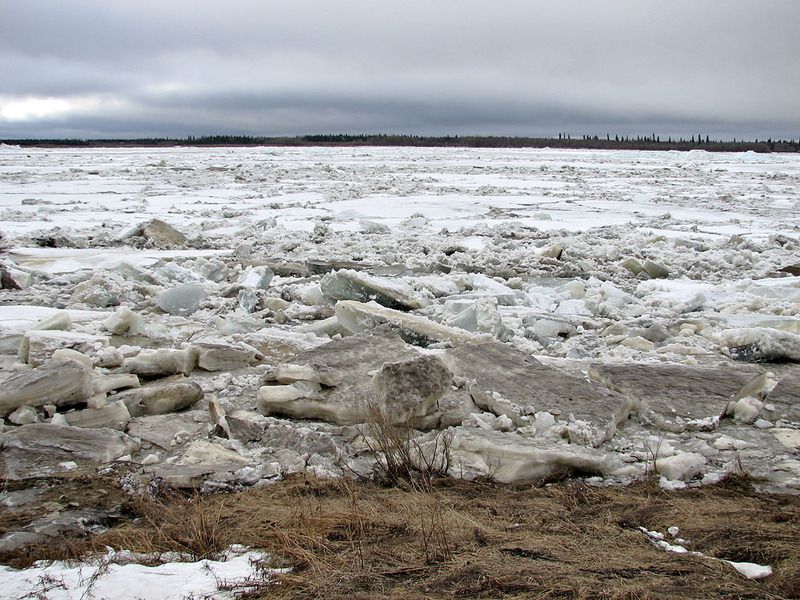 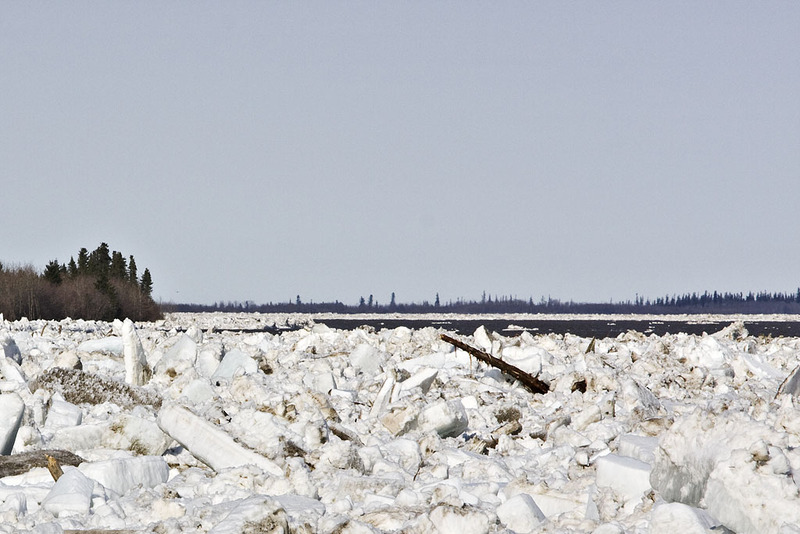 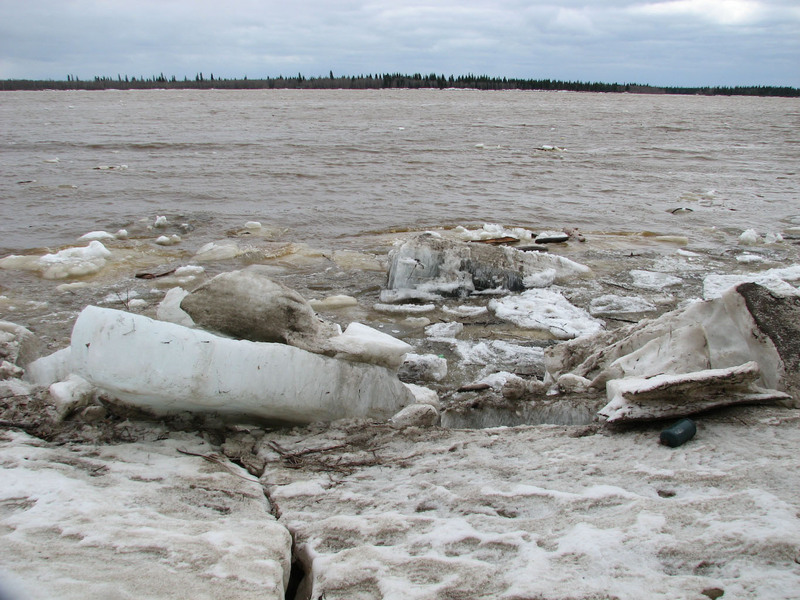 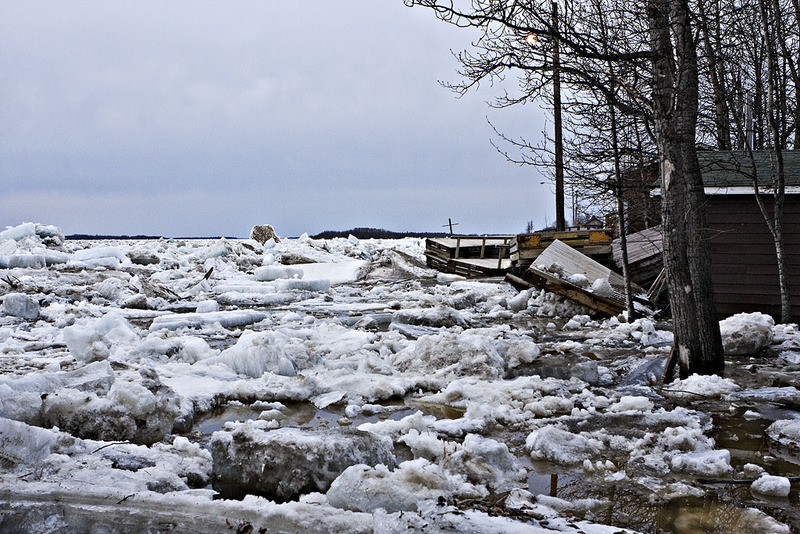 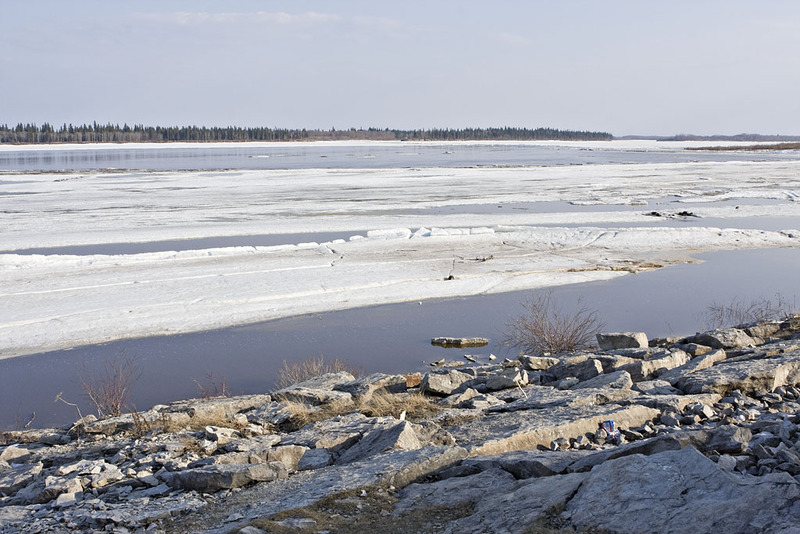 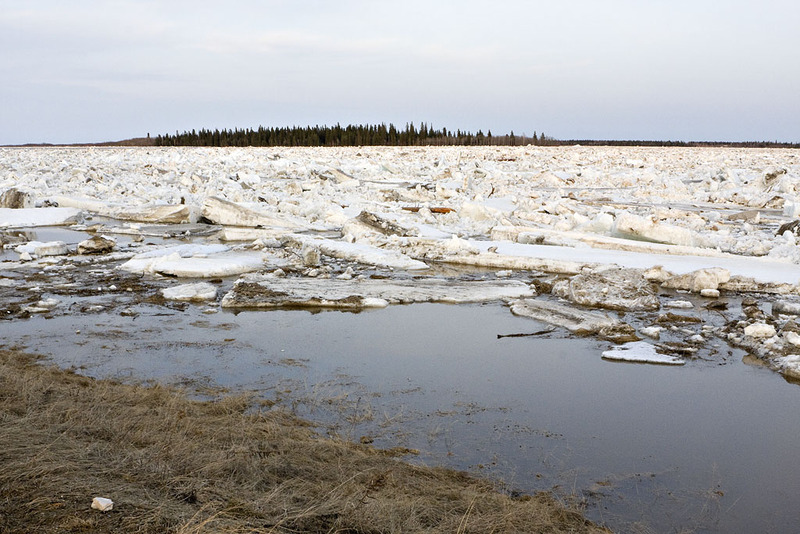 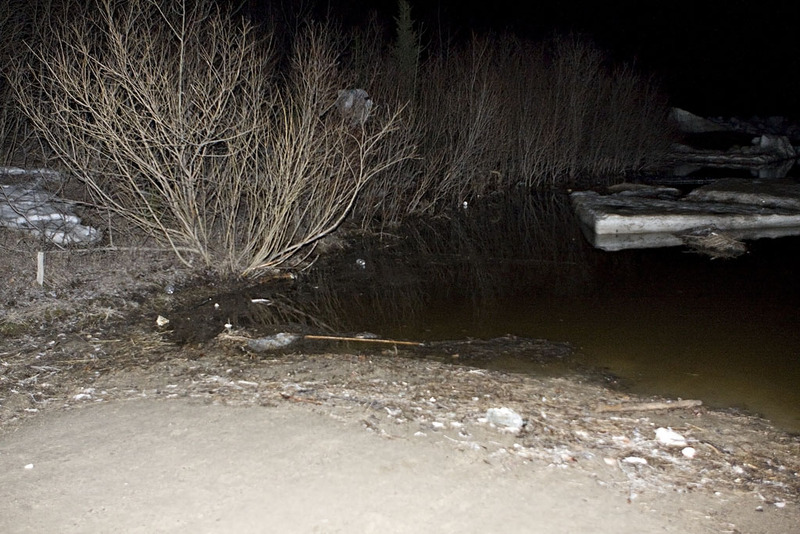 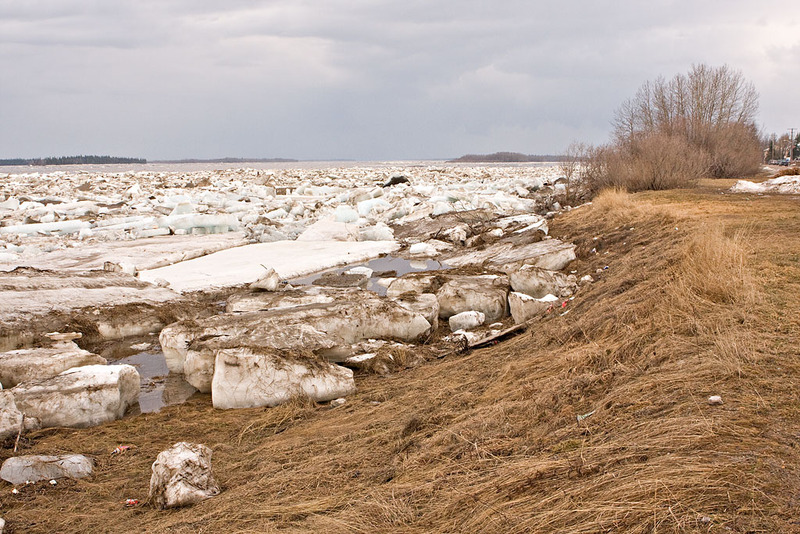 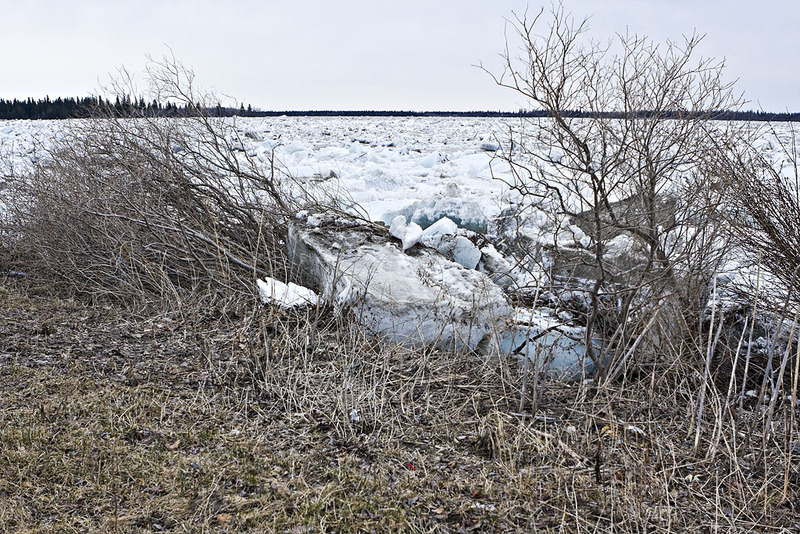 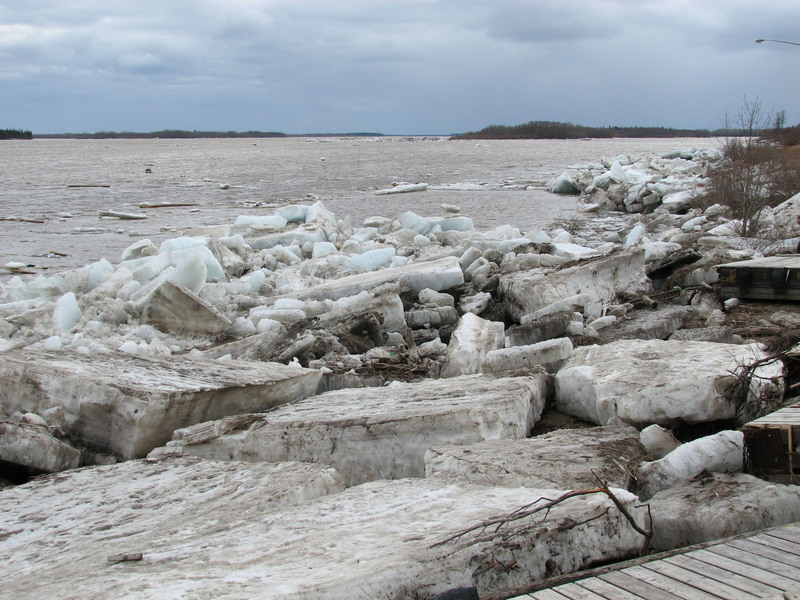 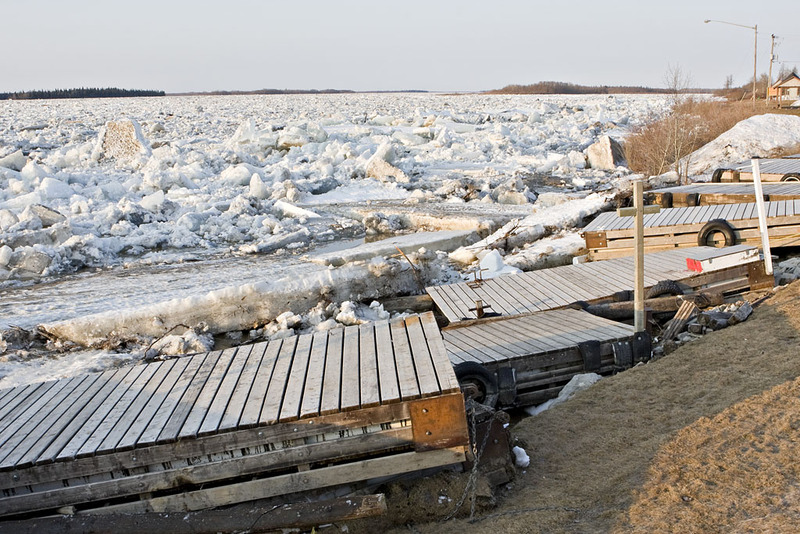 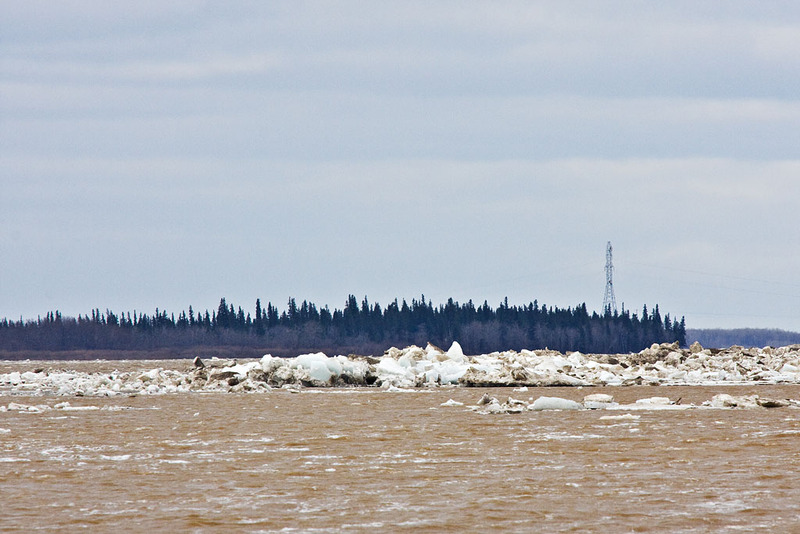 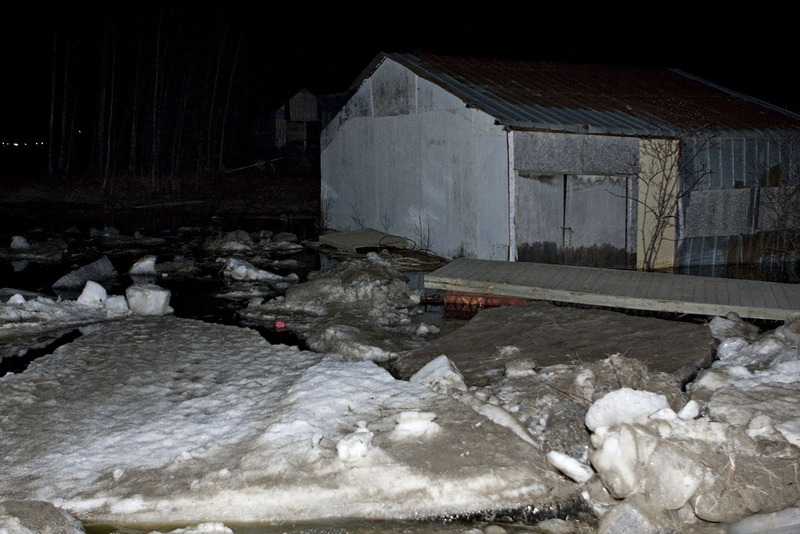 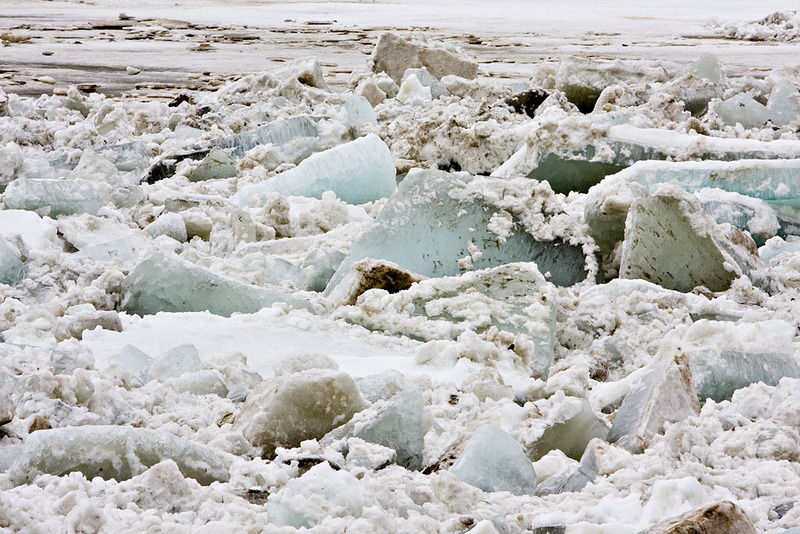 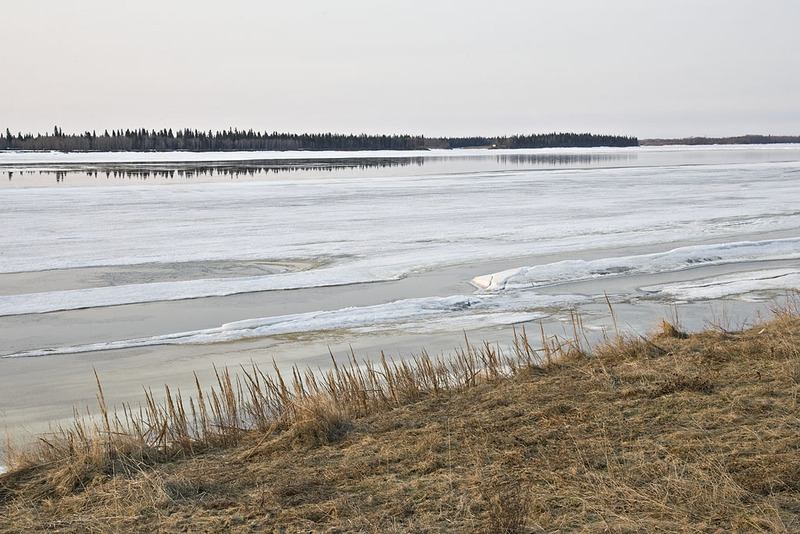 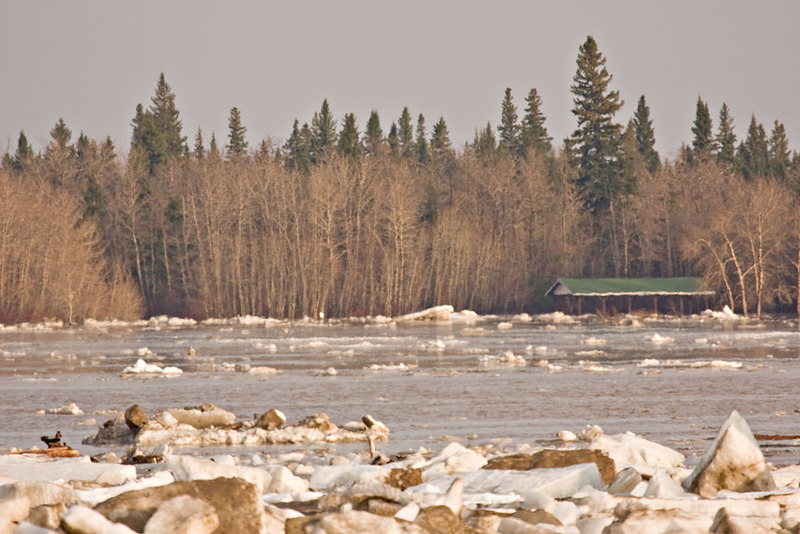 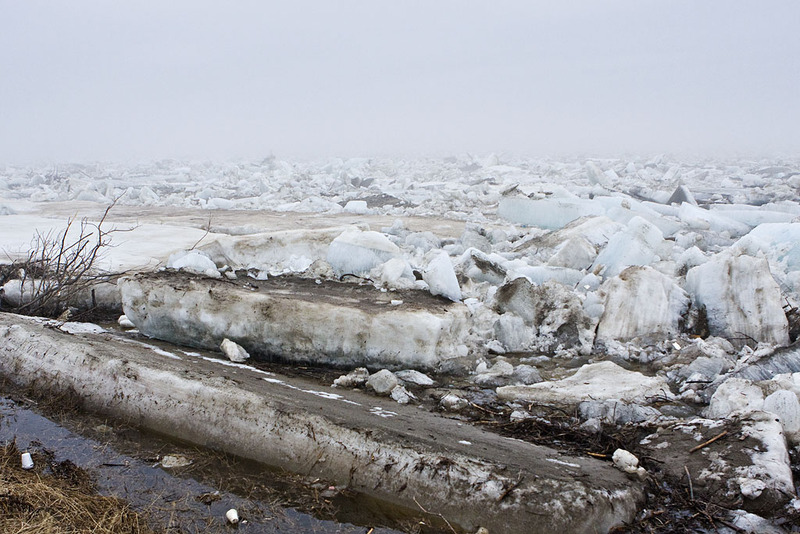 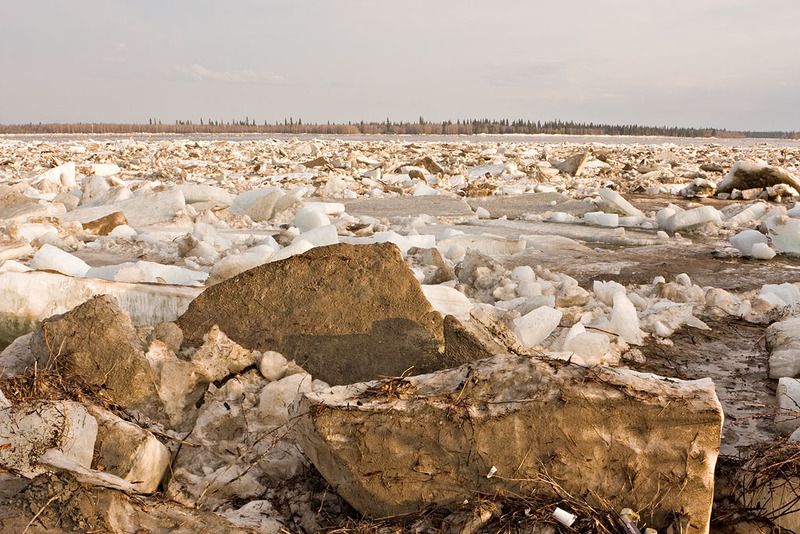 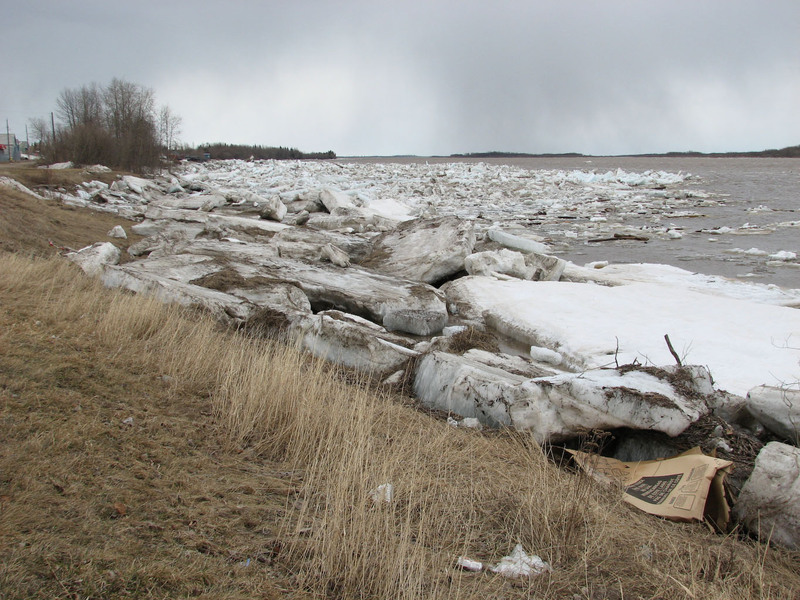 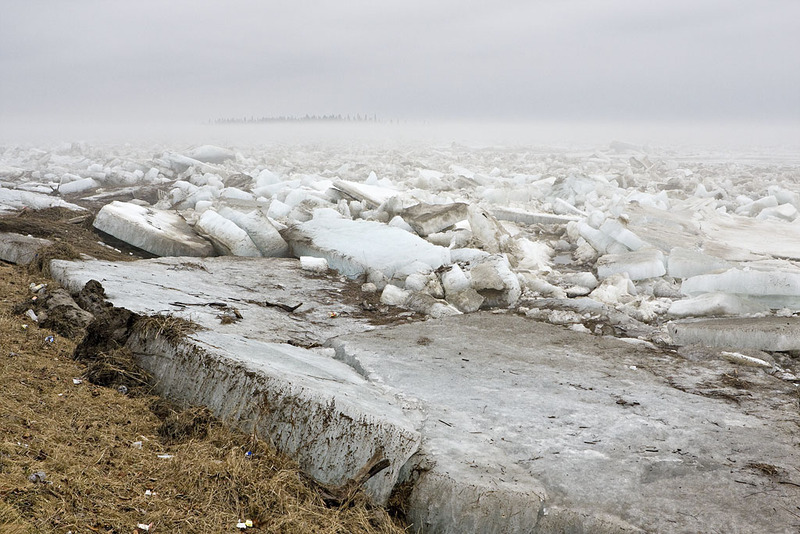 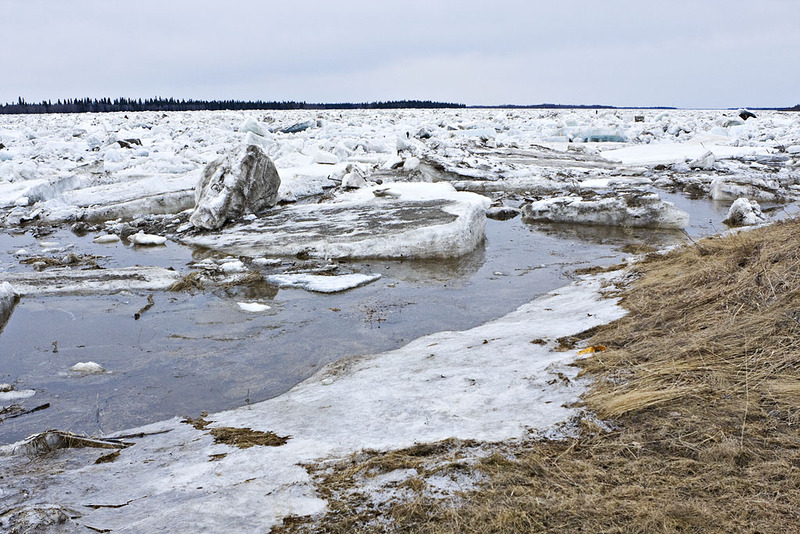 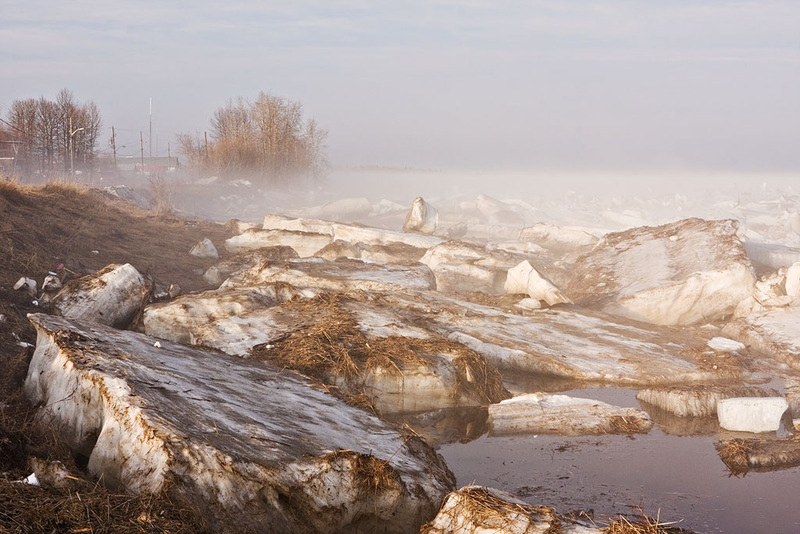 Pictures of the spring breakup of the Moose River at Moosonee in April 2008. 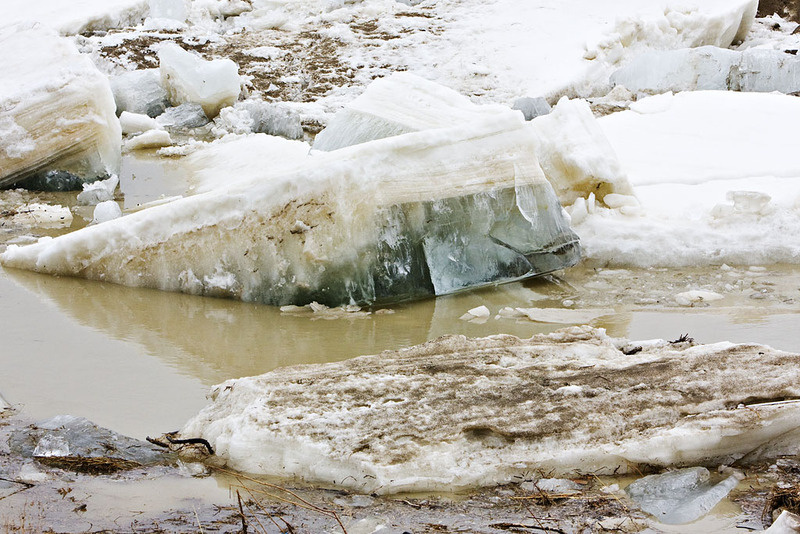 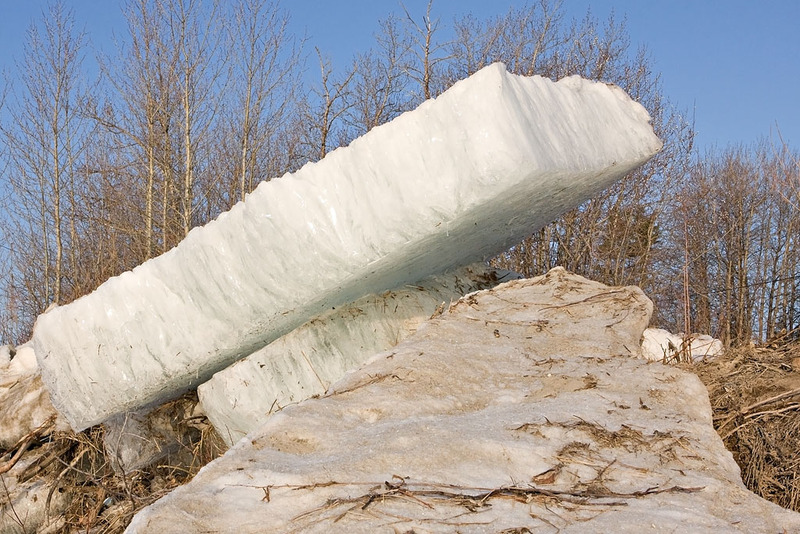 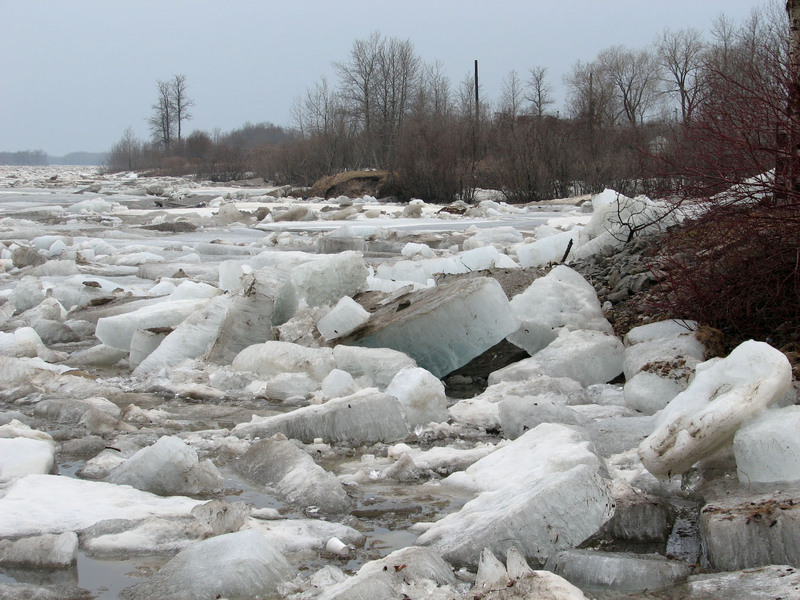 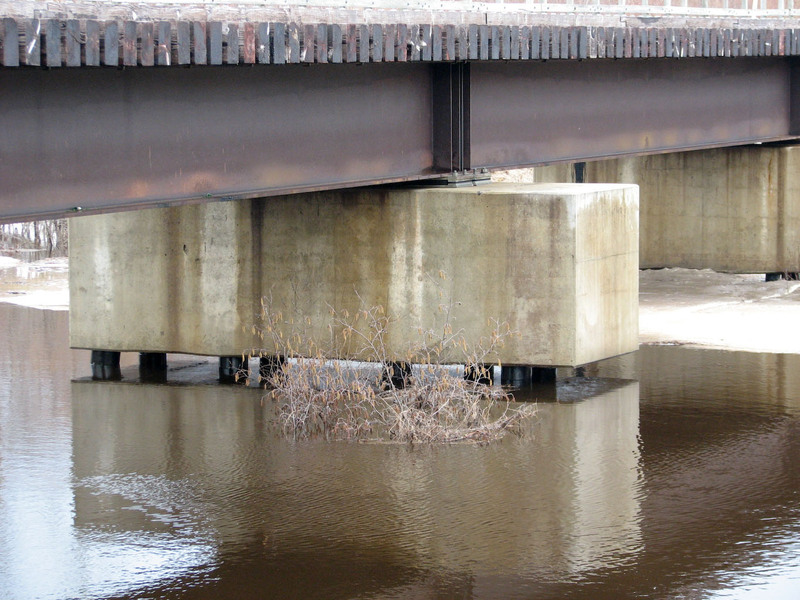 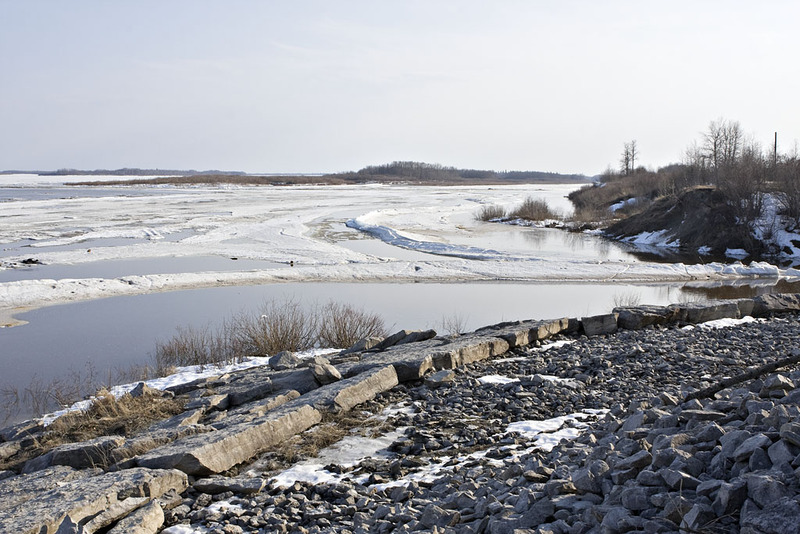 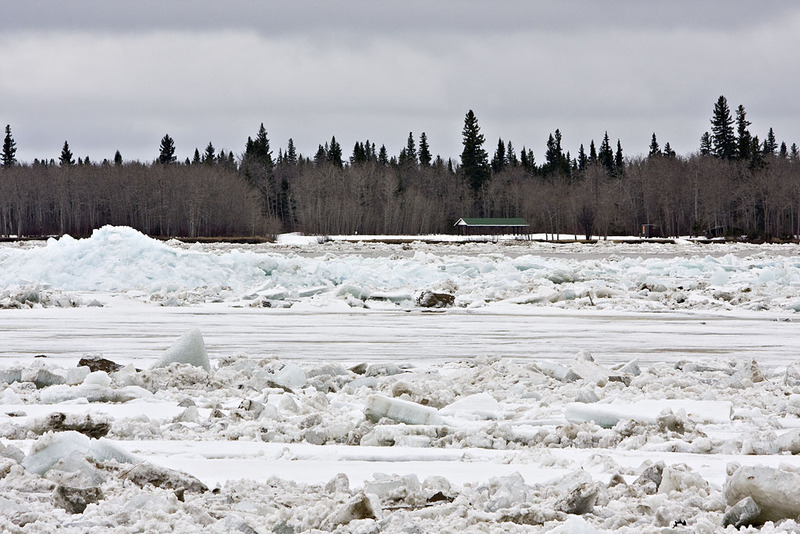 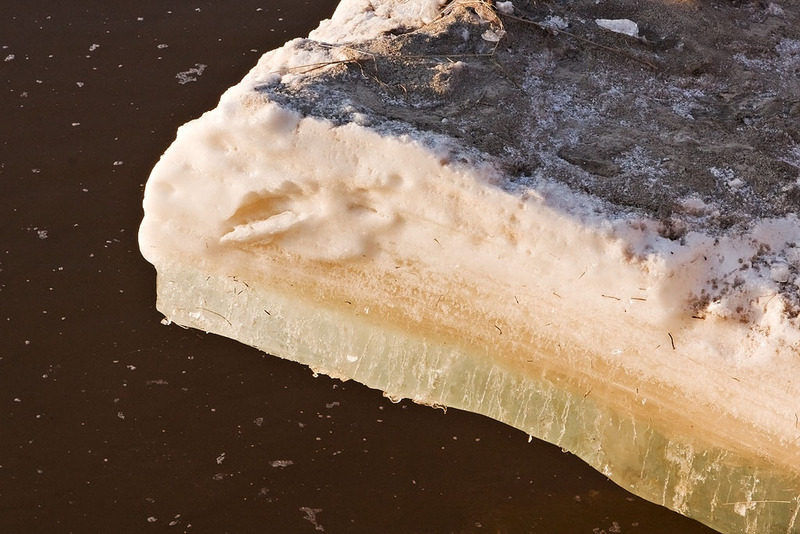 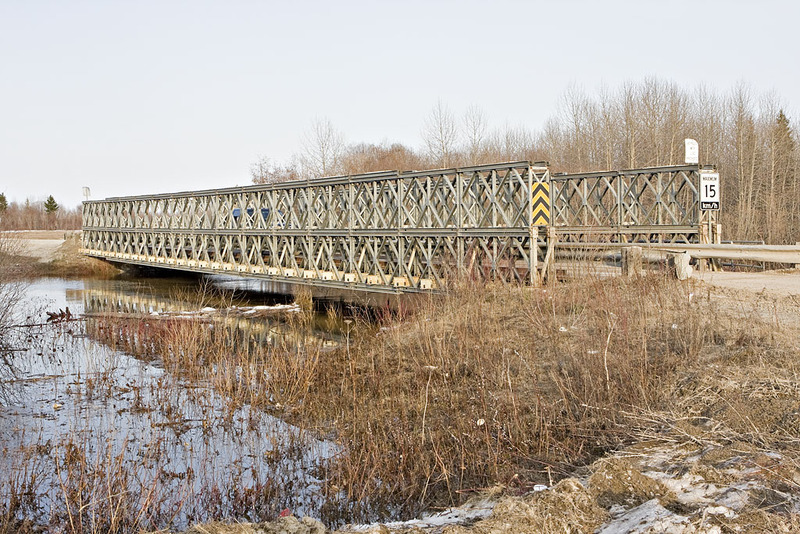 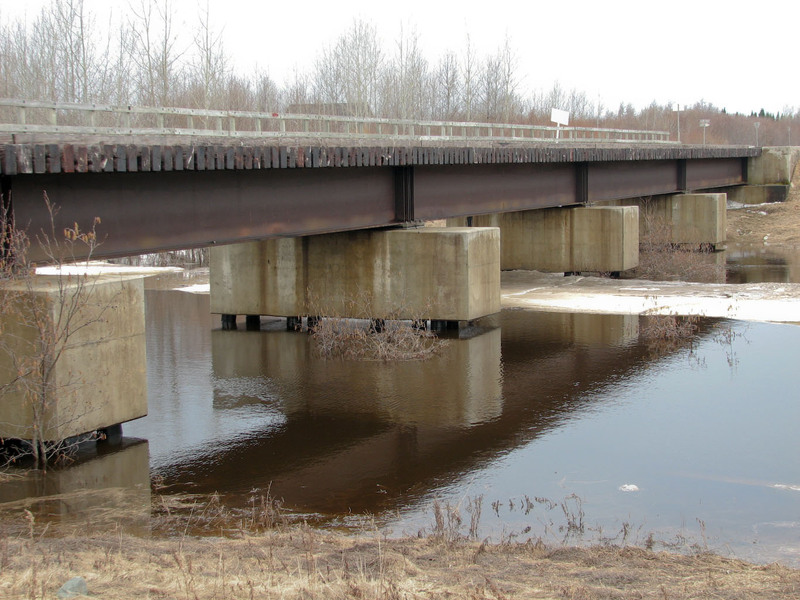 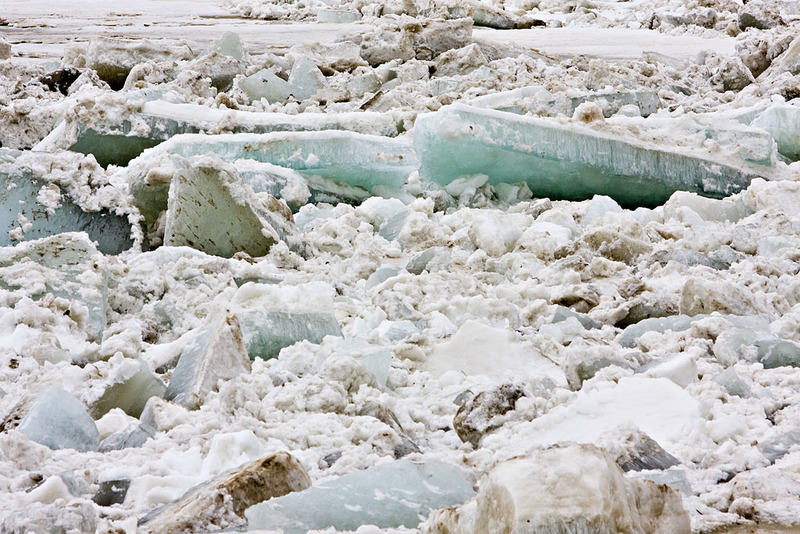 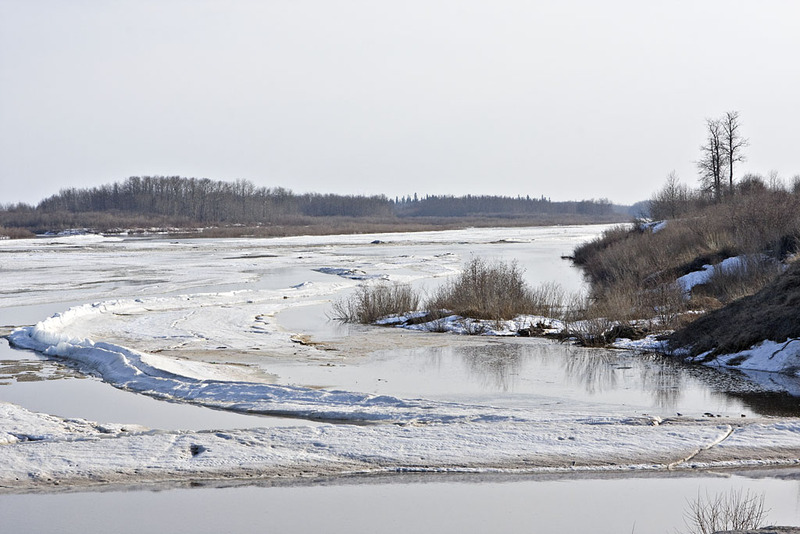 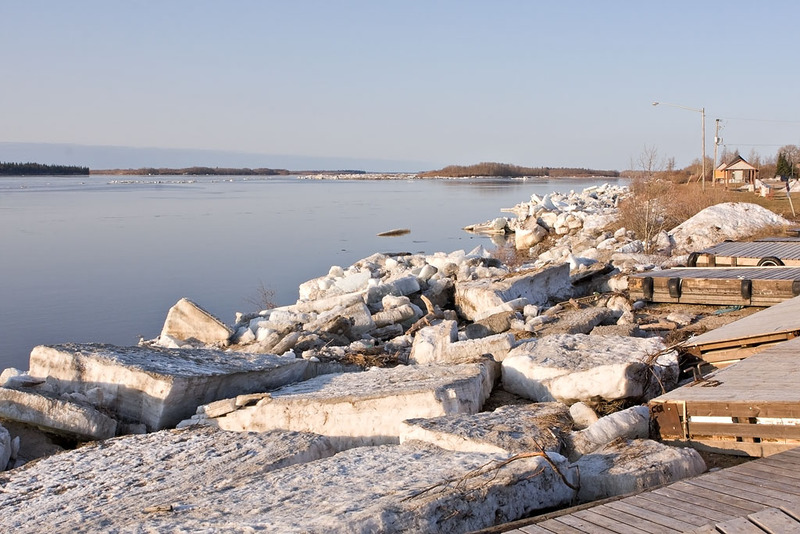 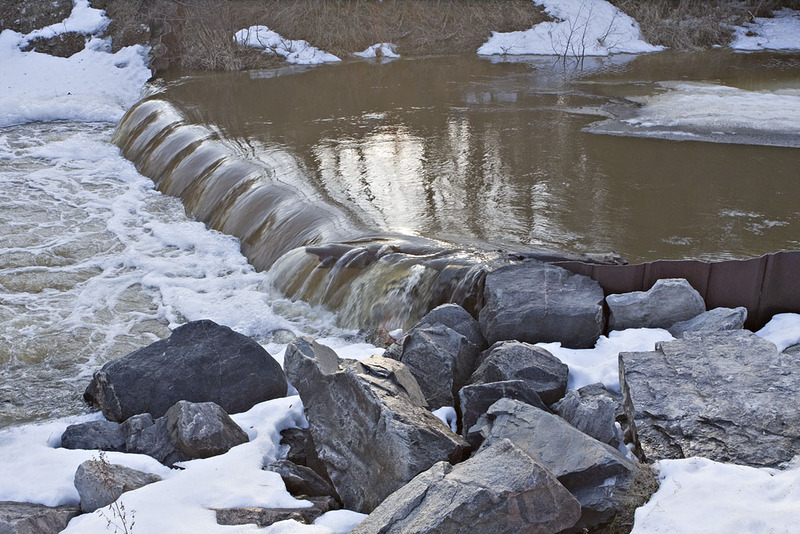 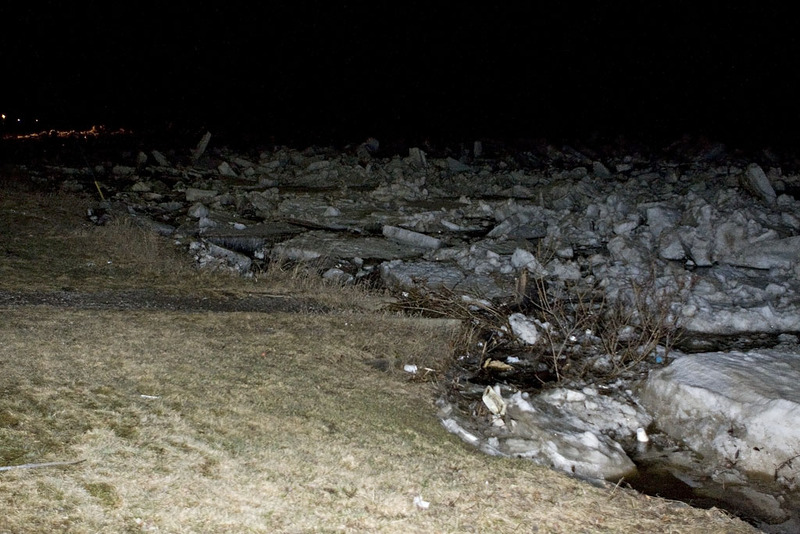 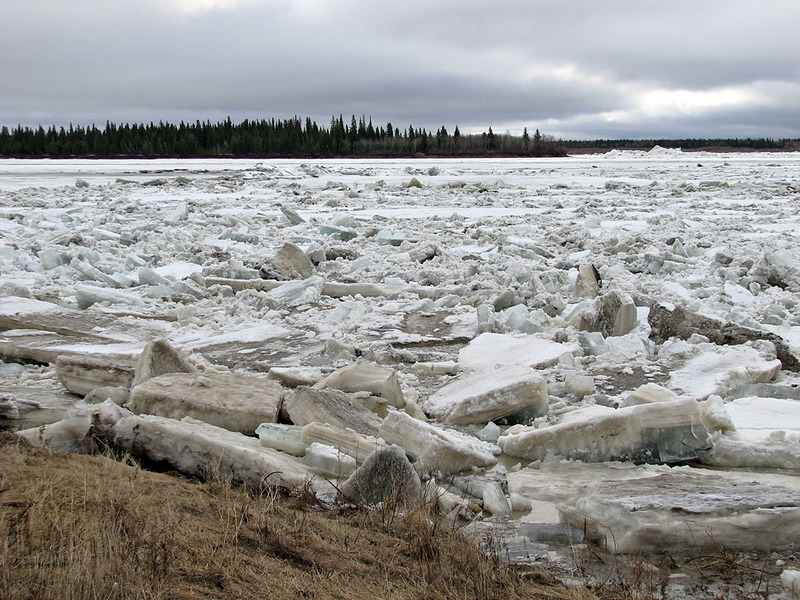 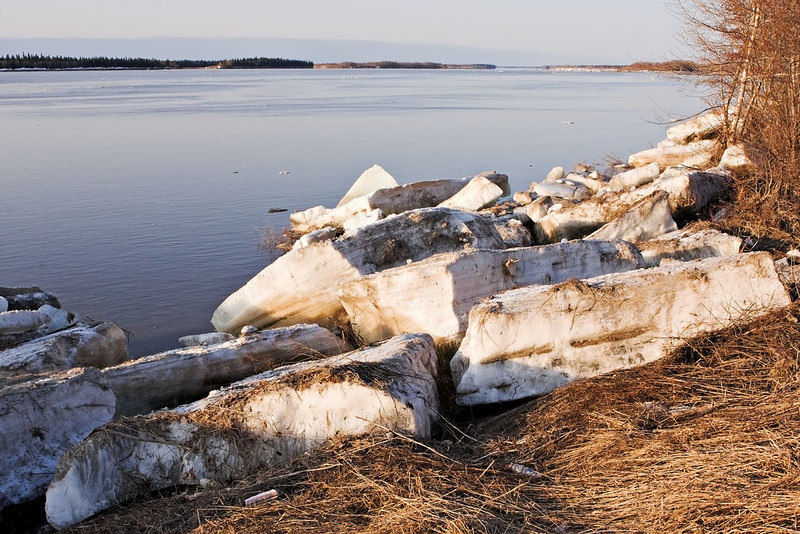 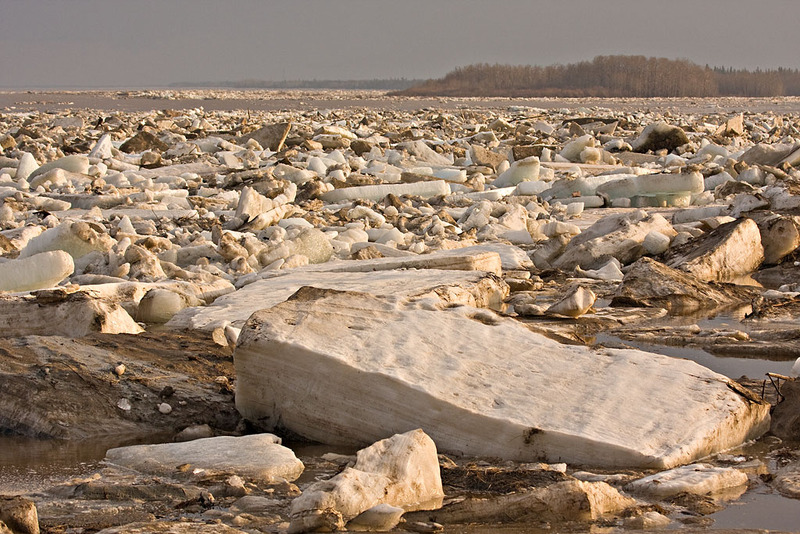 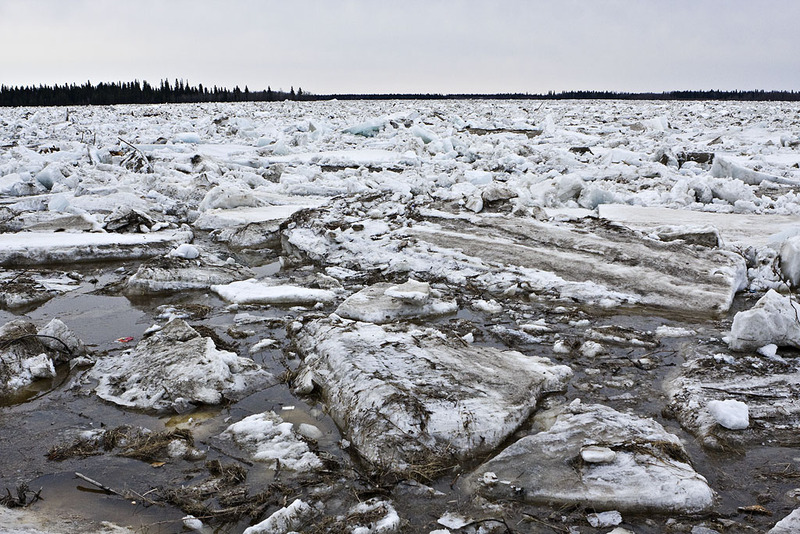 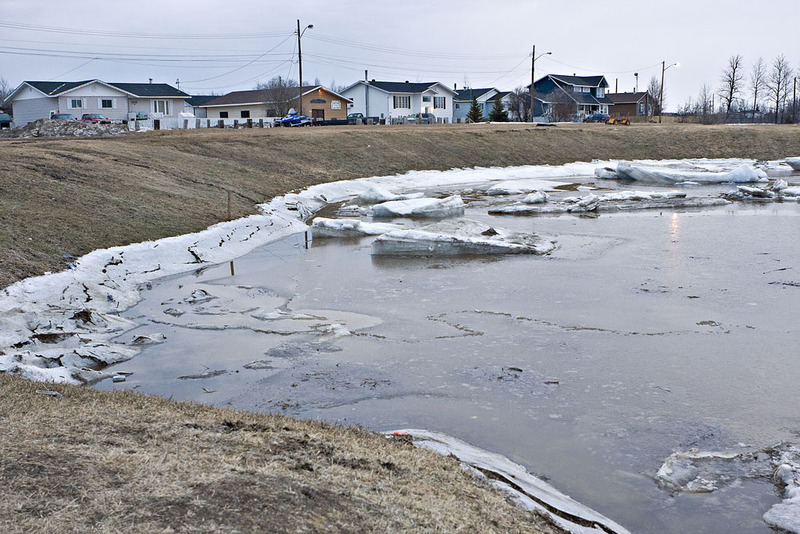 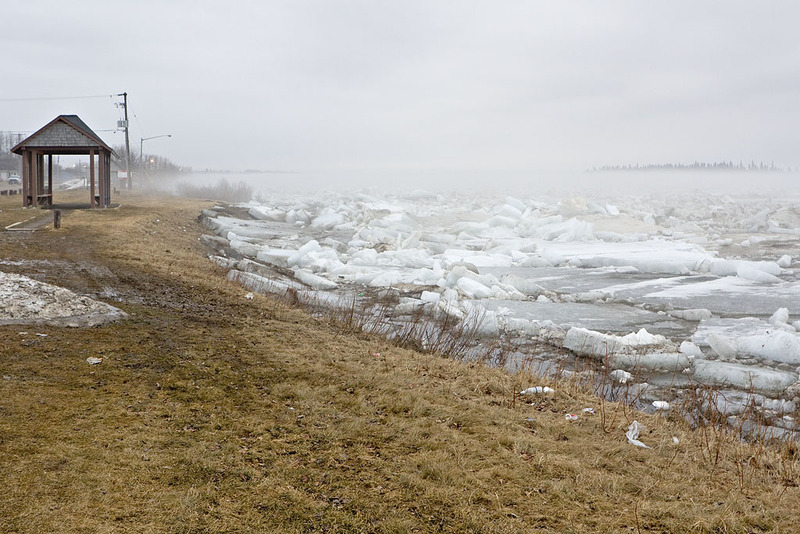 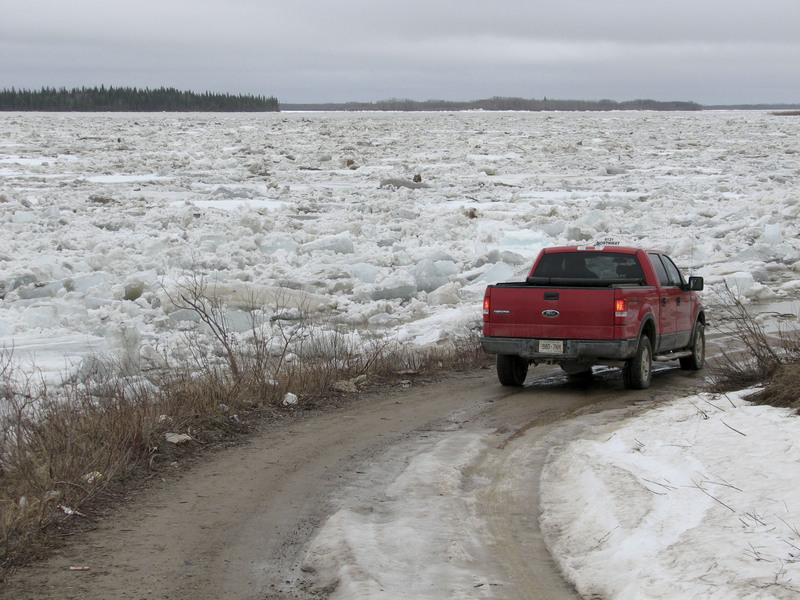 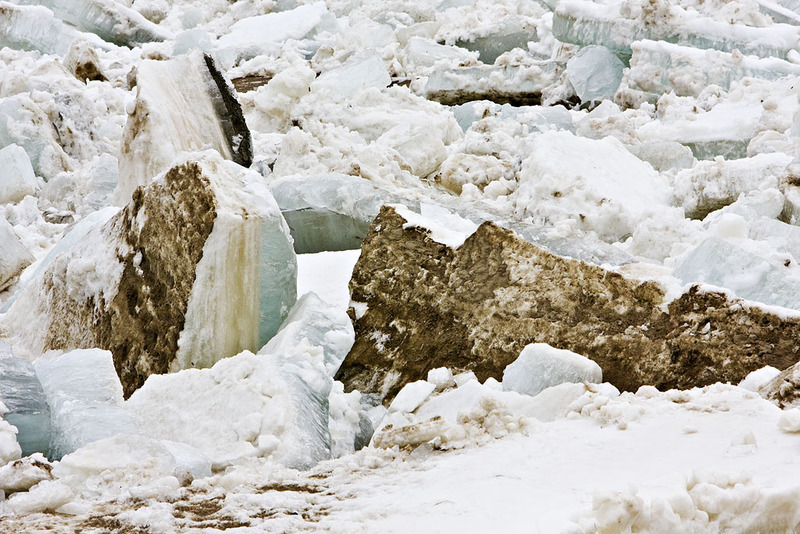 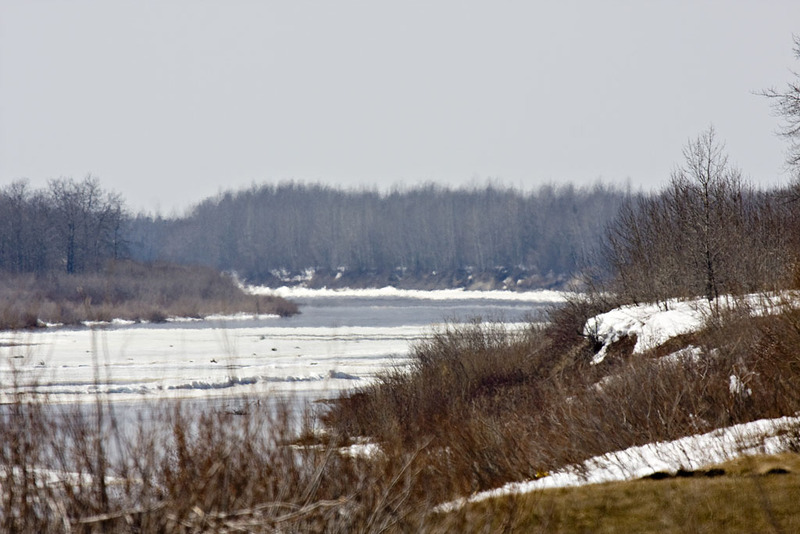 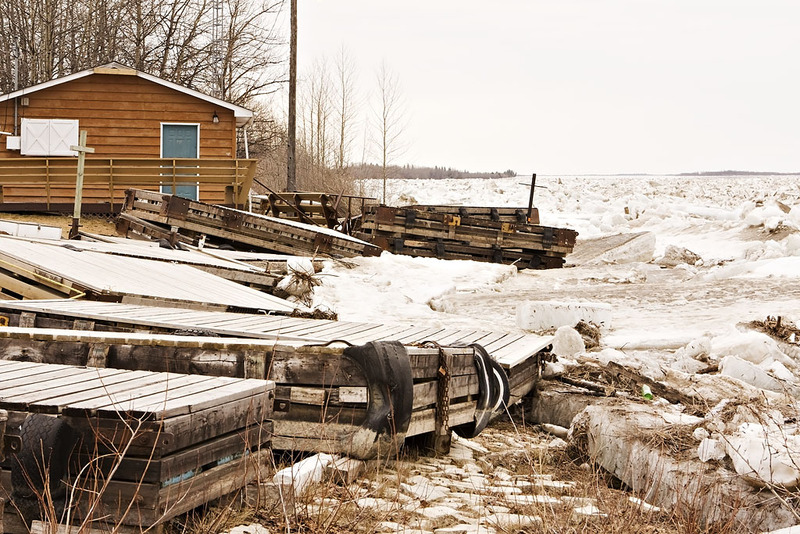 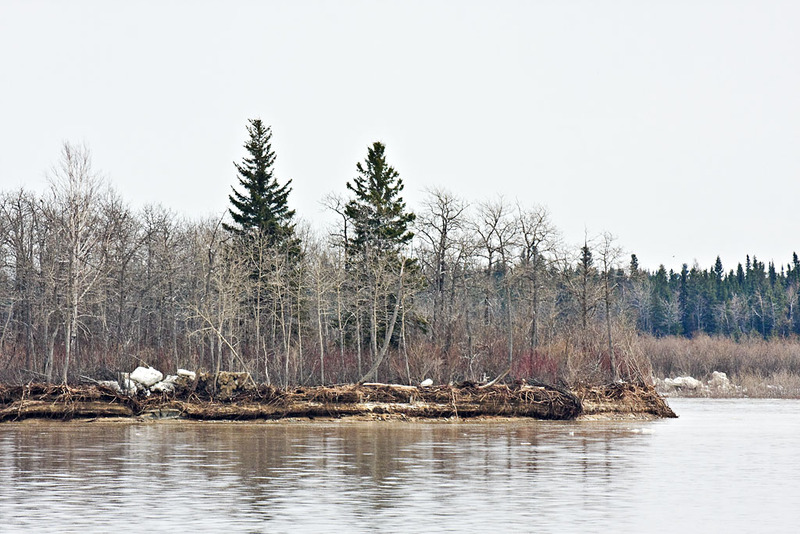 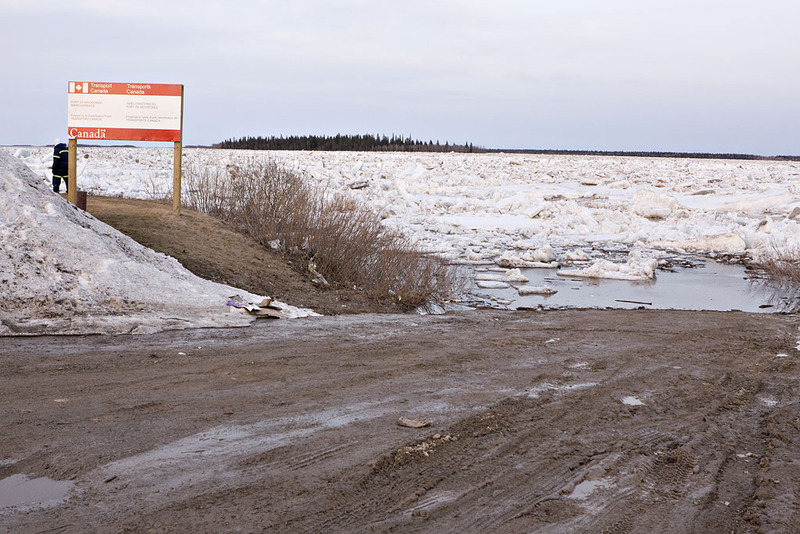 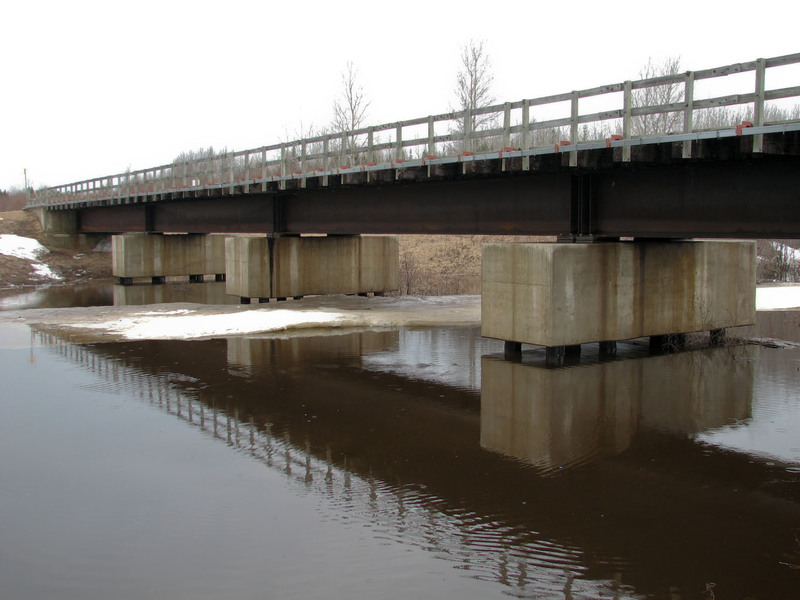 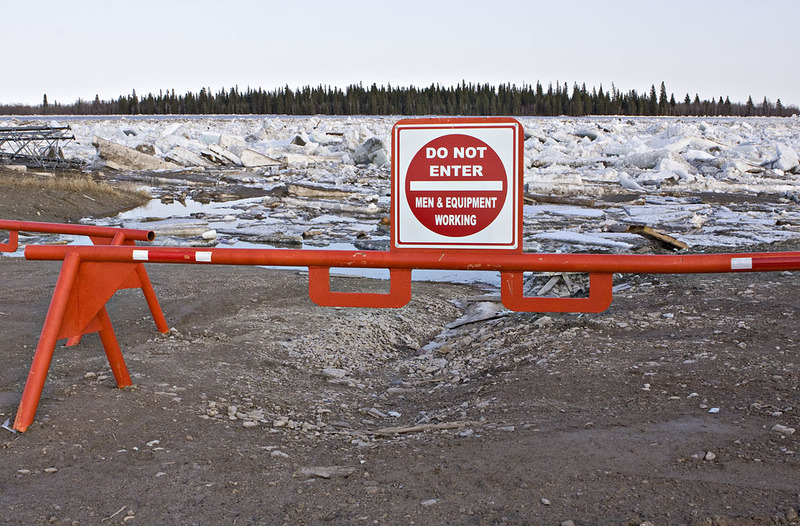 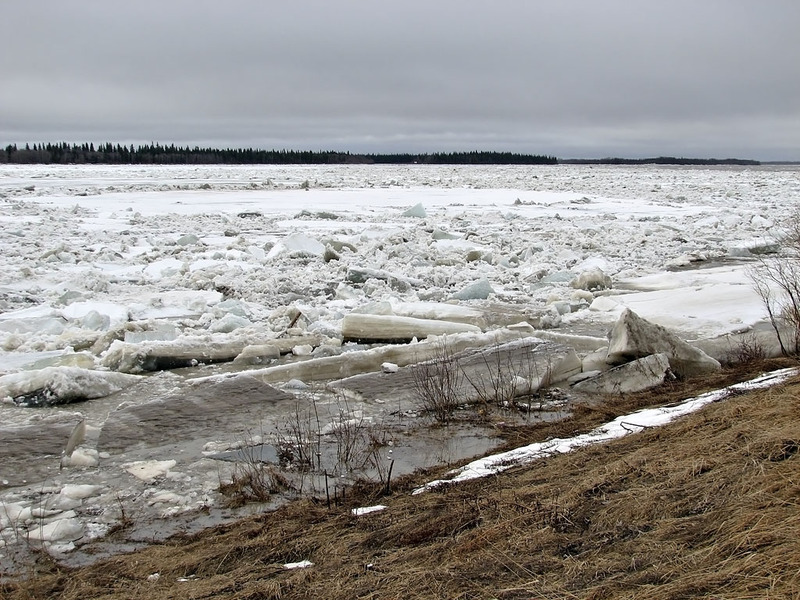 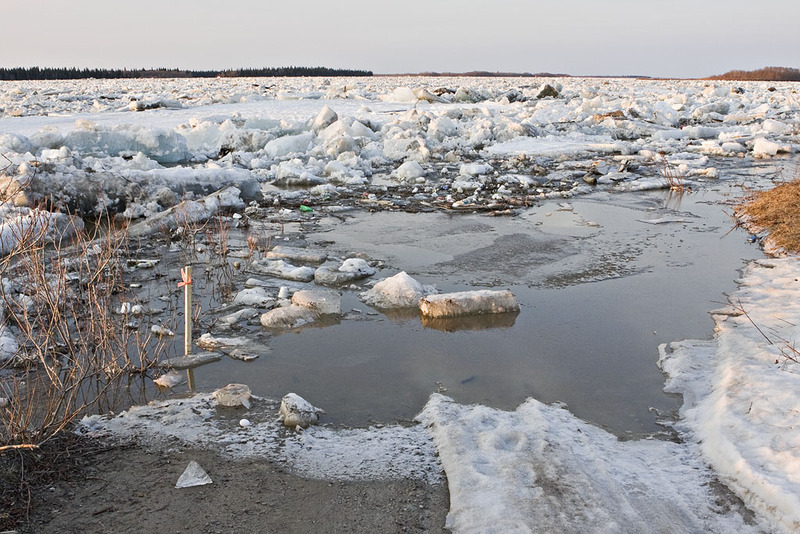 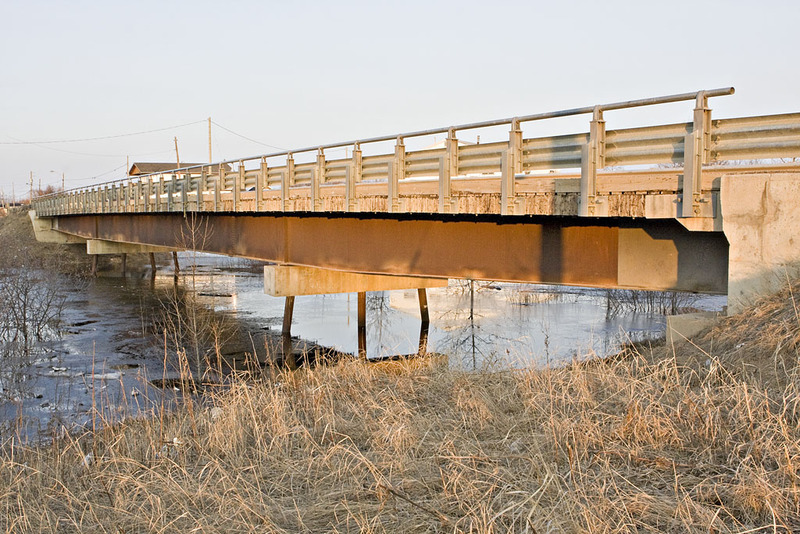 During the winter the river is used as a road and the ice is thick enough to handle all types of vehicles including cars, school buses and heavy equipment. 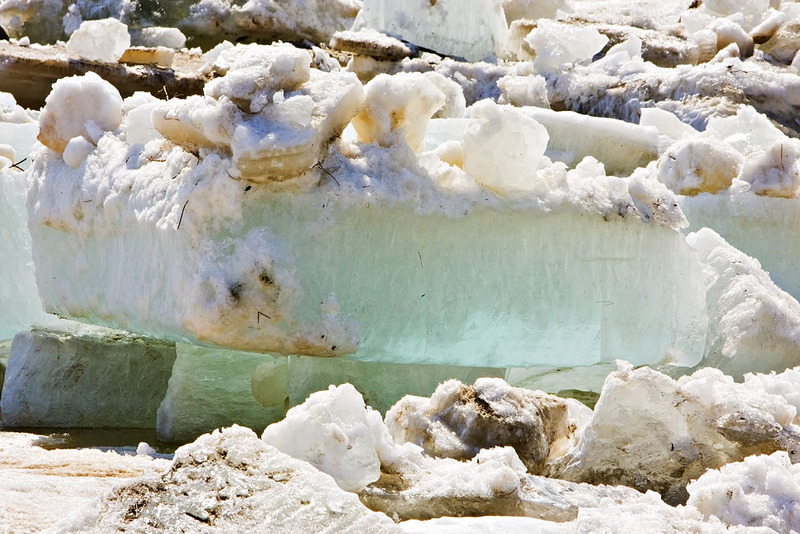 Once the ice becomes unsuitable for most vehicles, snowmobile taxis are used to carry passengers. 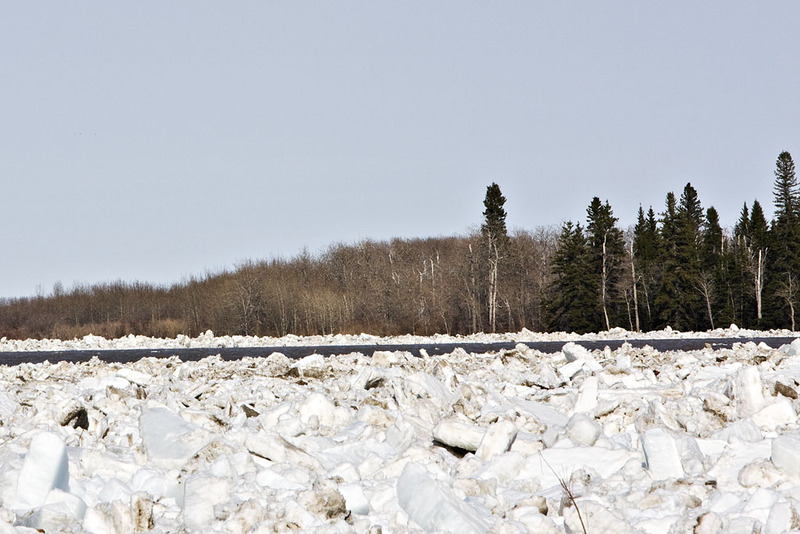 Alternatively, helicopters are available for the trip between Moosonee and Moose Factory. 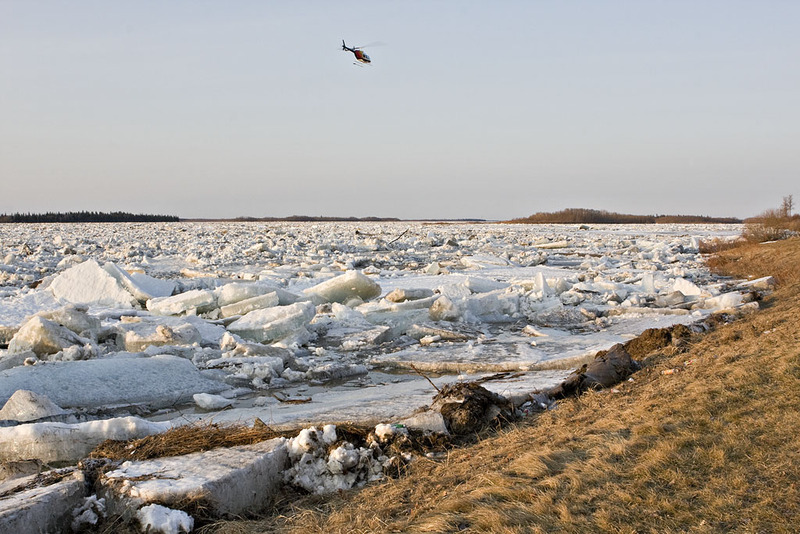 During the time the ice is breaking up, helicopters are the only means of transportation. 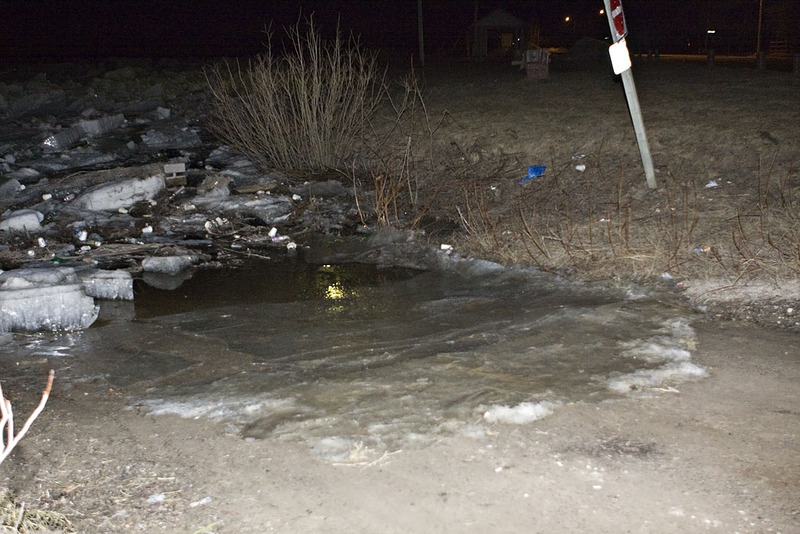 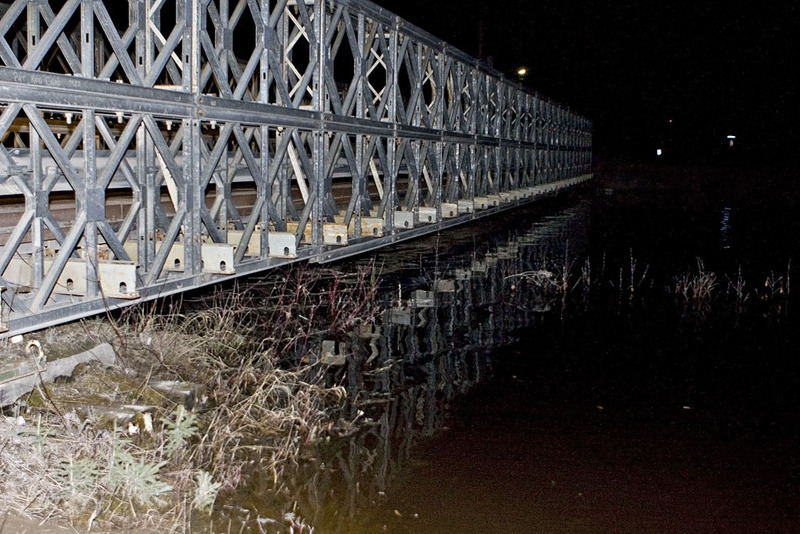 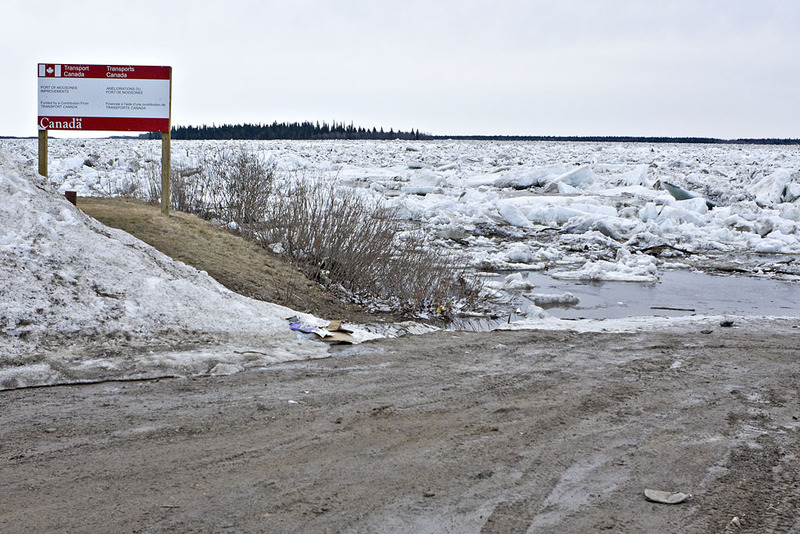 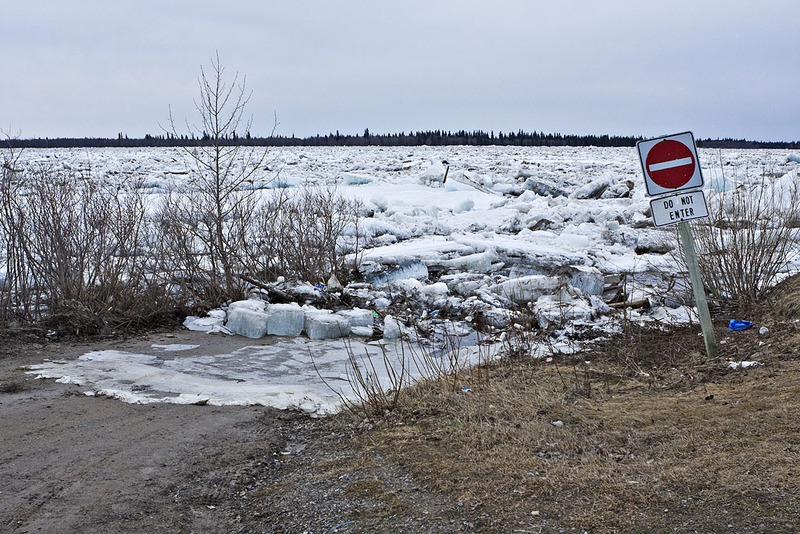 This year the water did not rise to the road level in Moosonee. 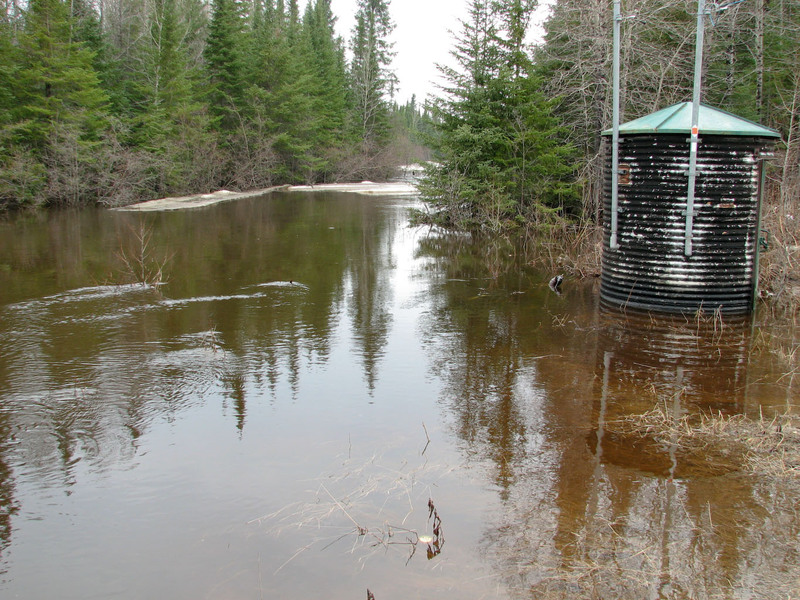 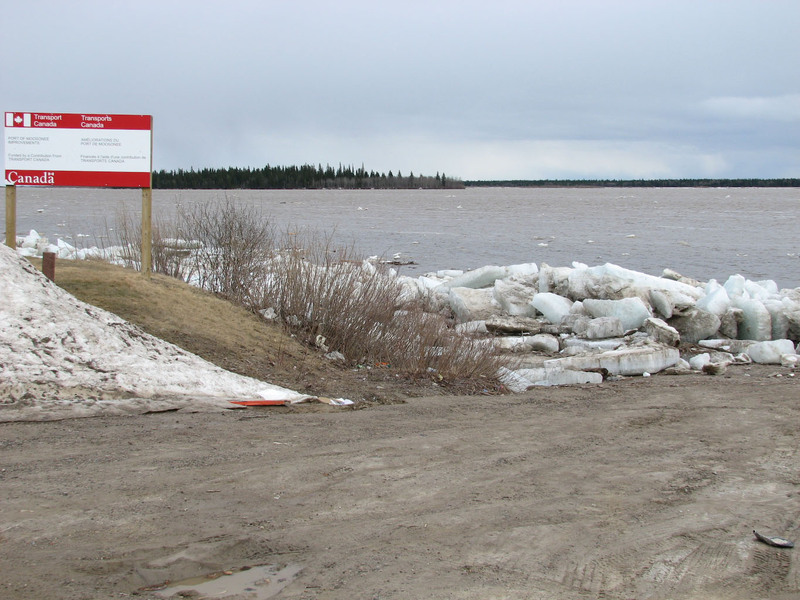 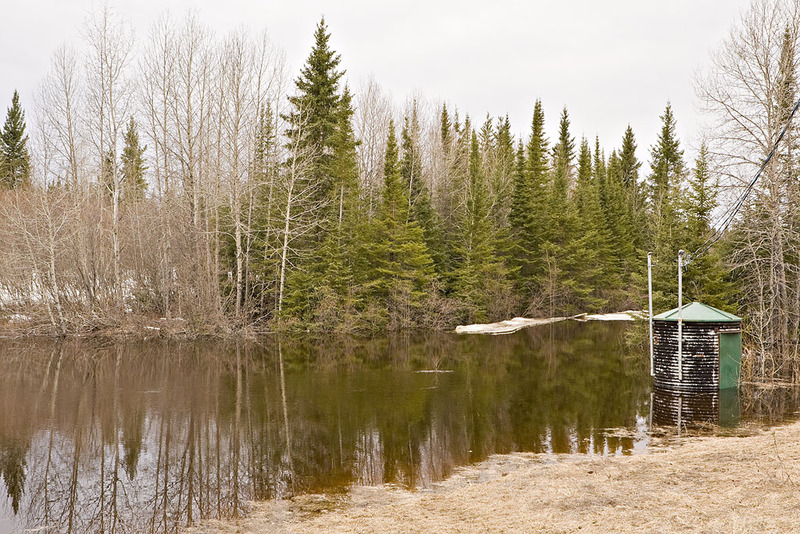 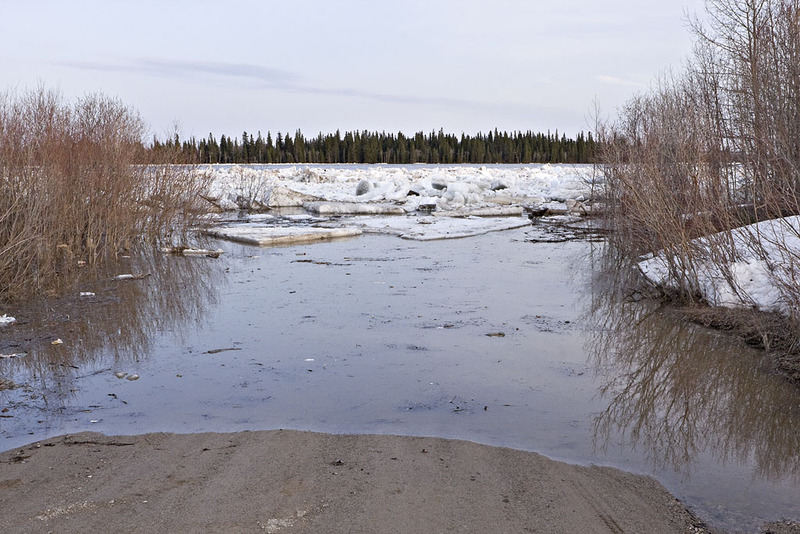 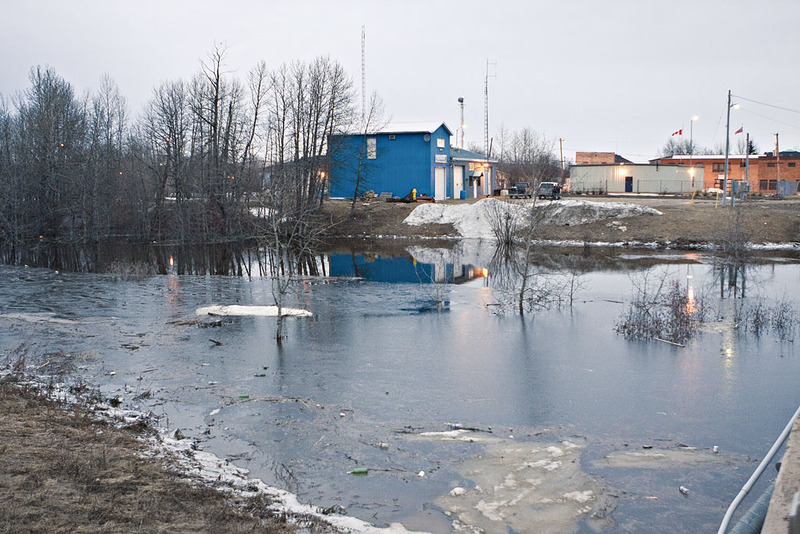 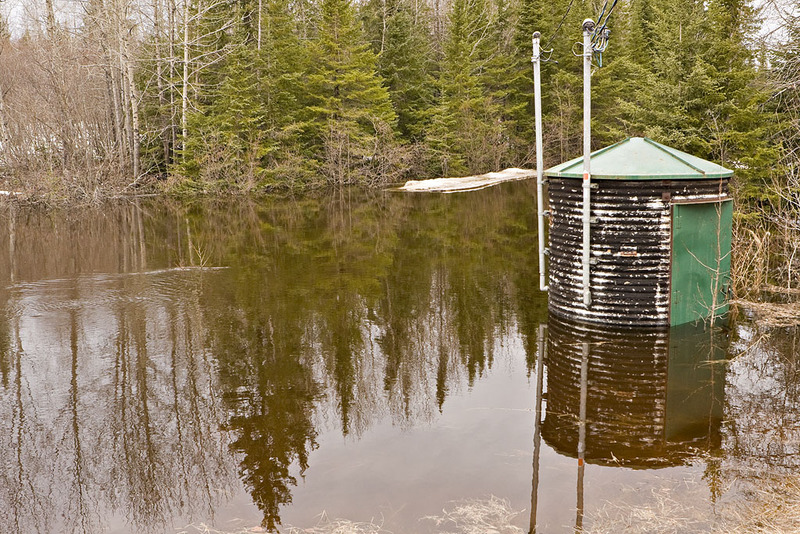 In Moose Factory there was water on some roads in low lying areas. 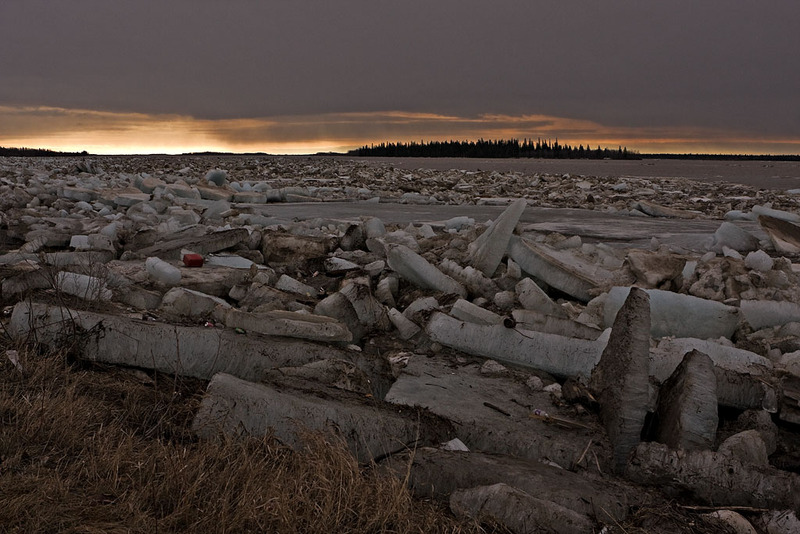 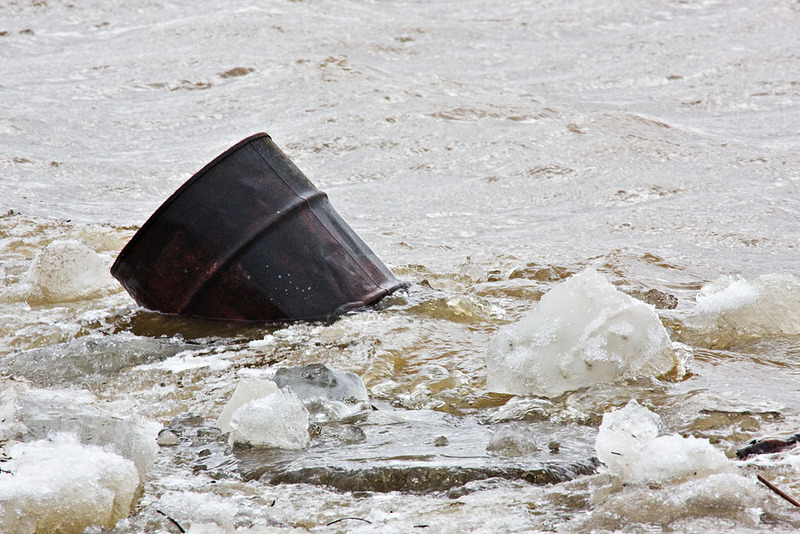 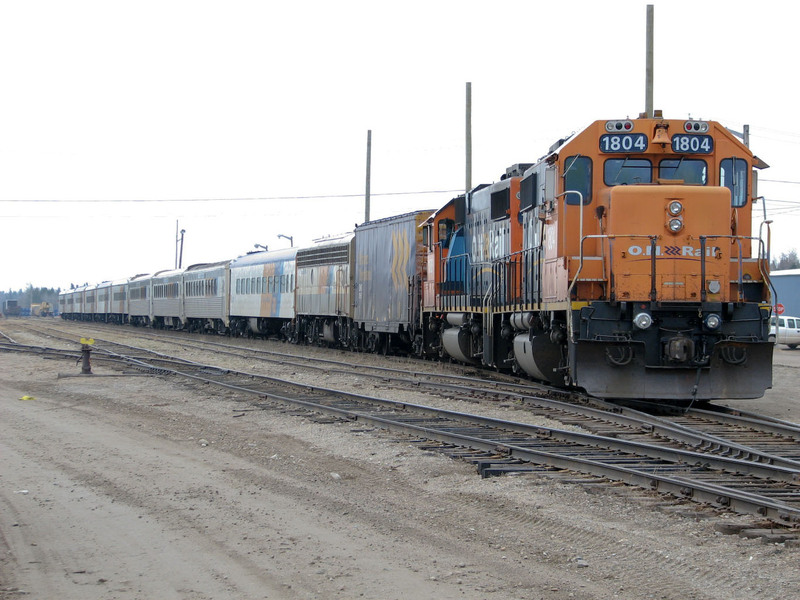 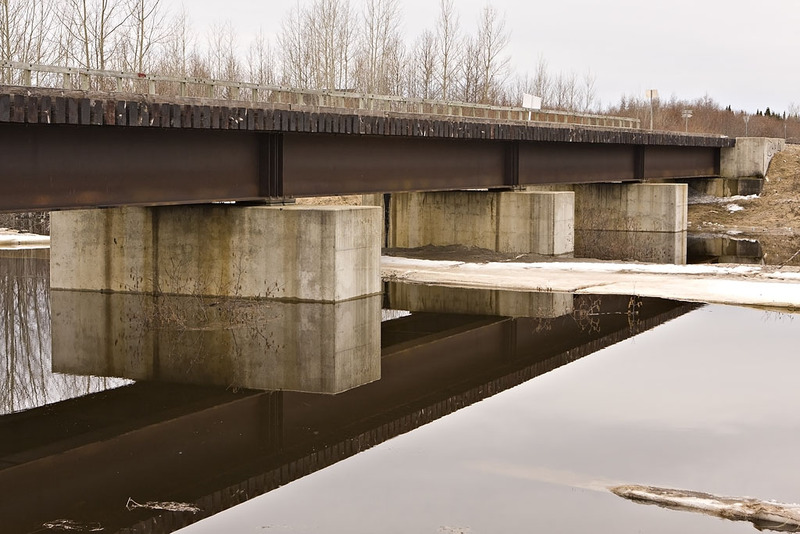 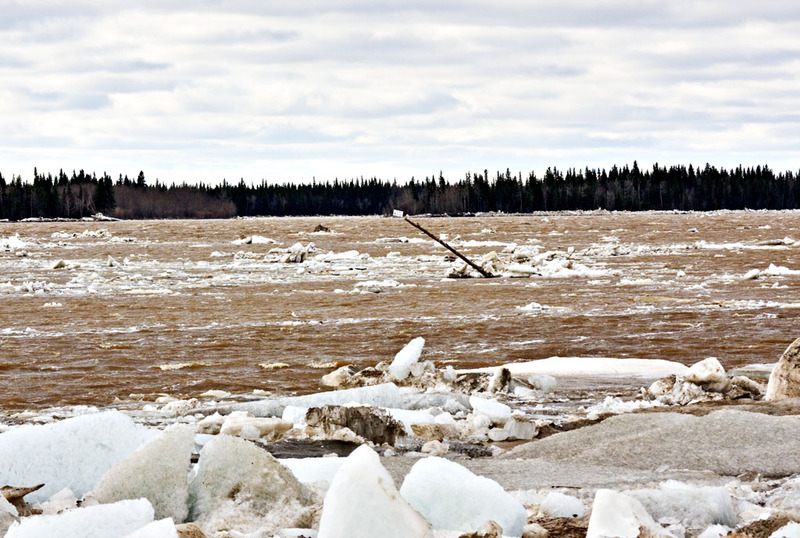 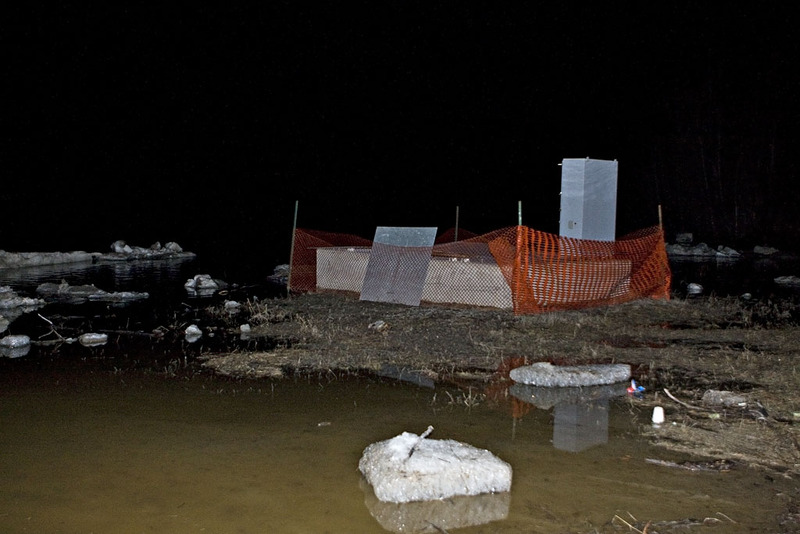 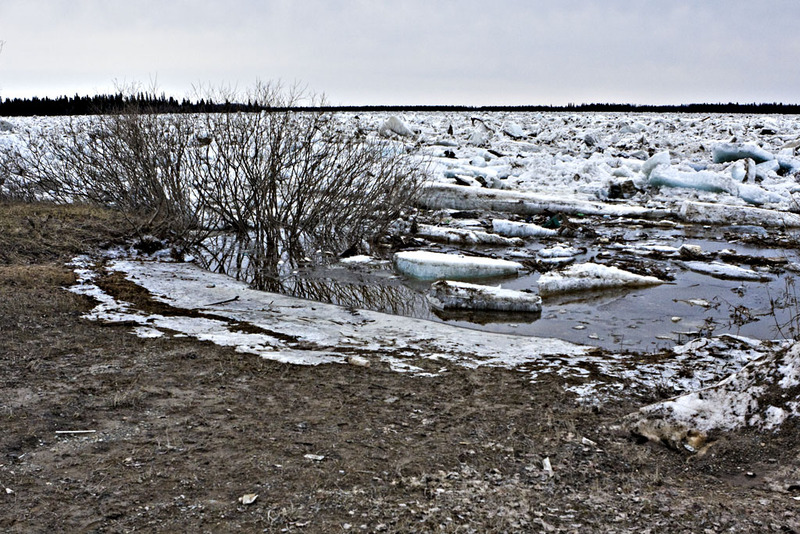 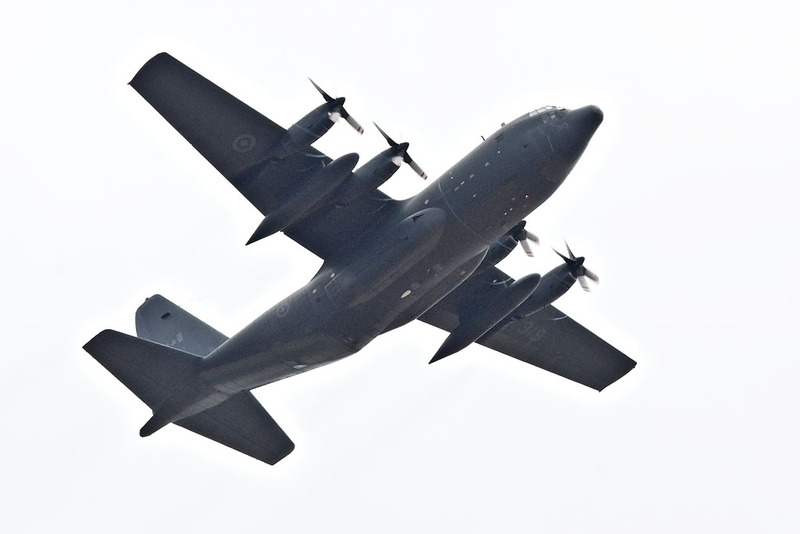 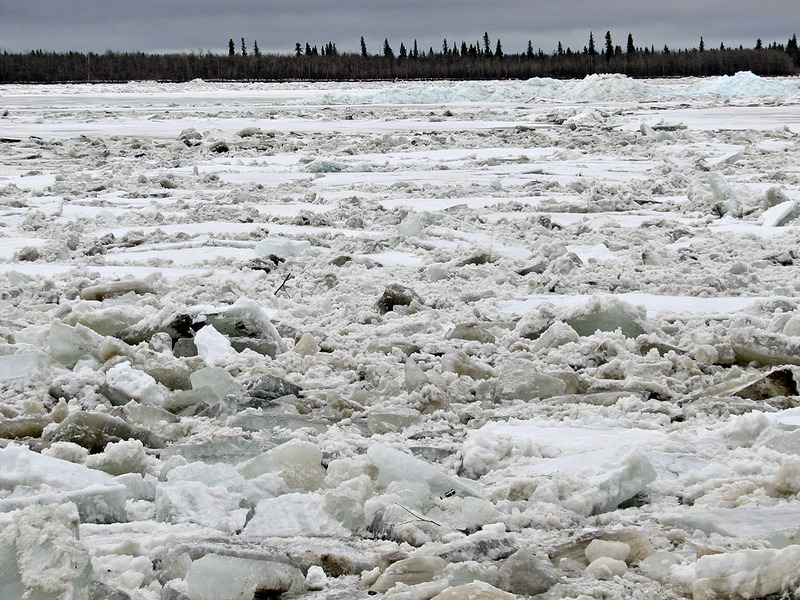 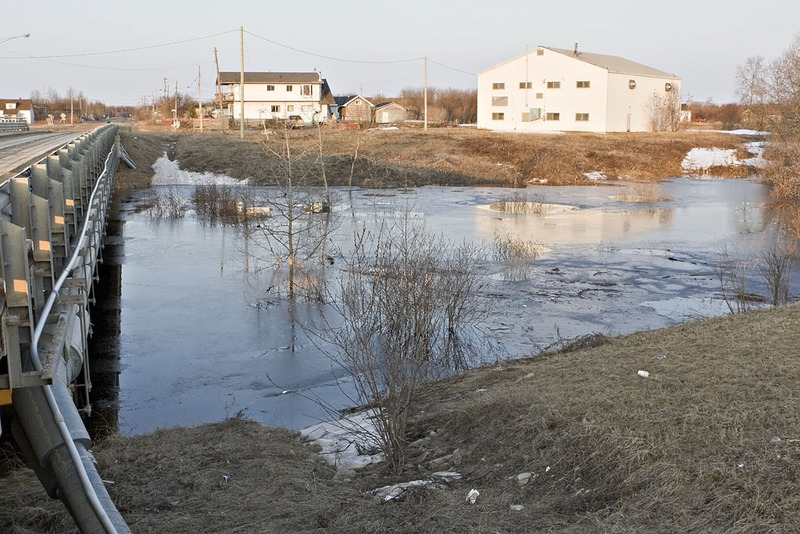 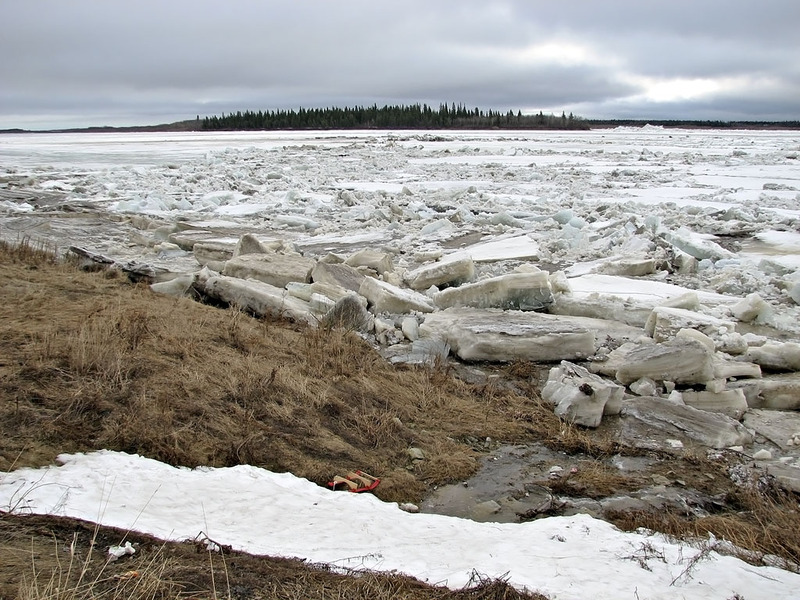 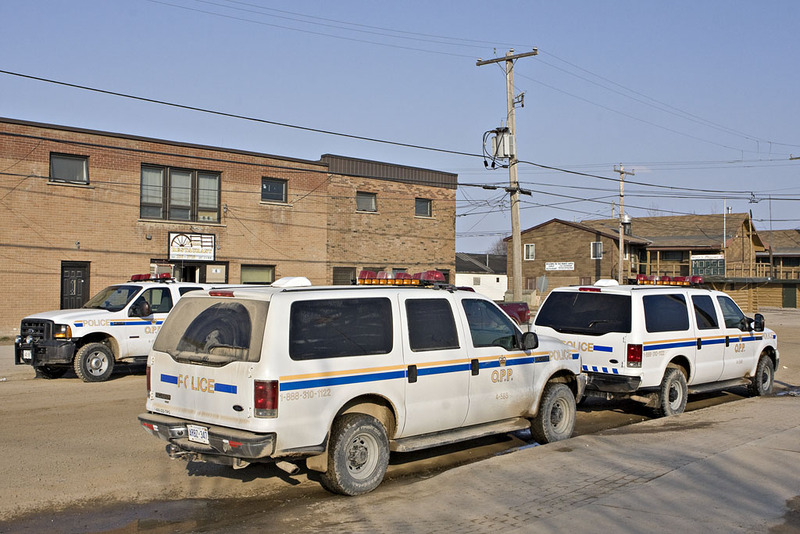 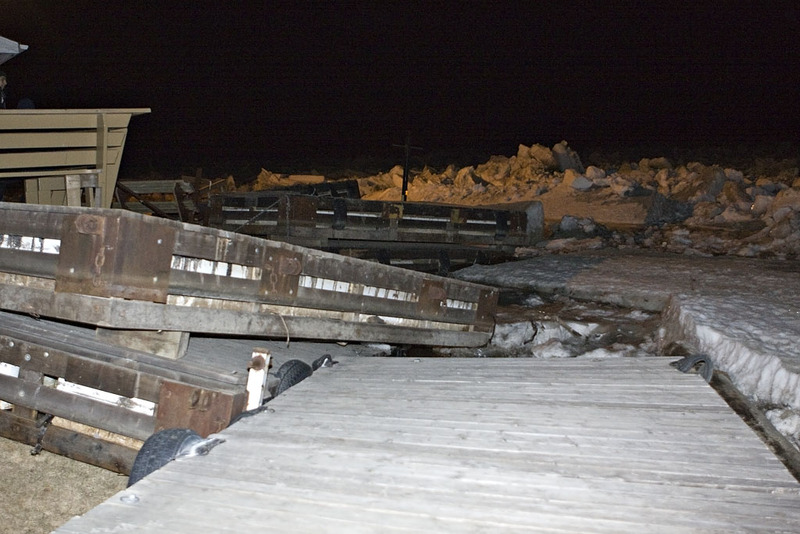 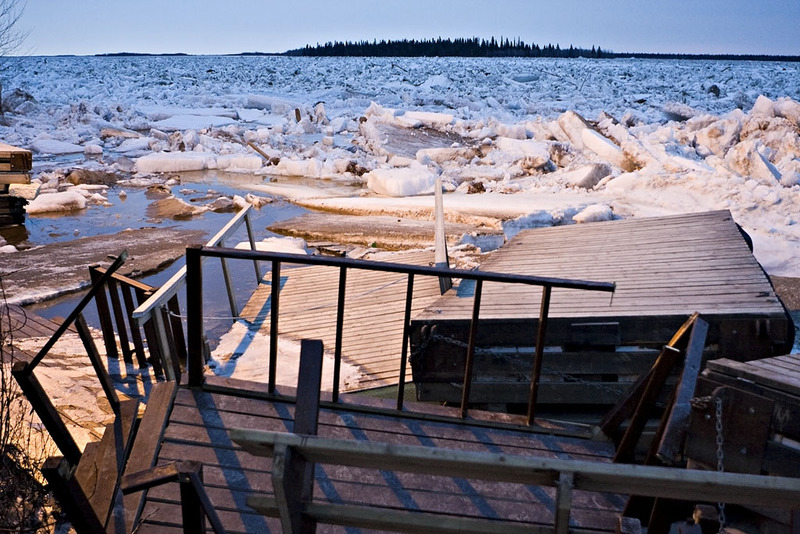 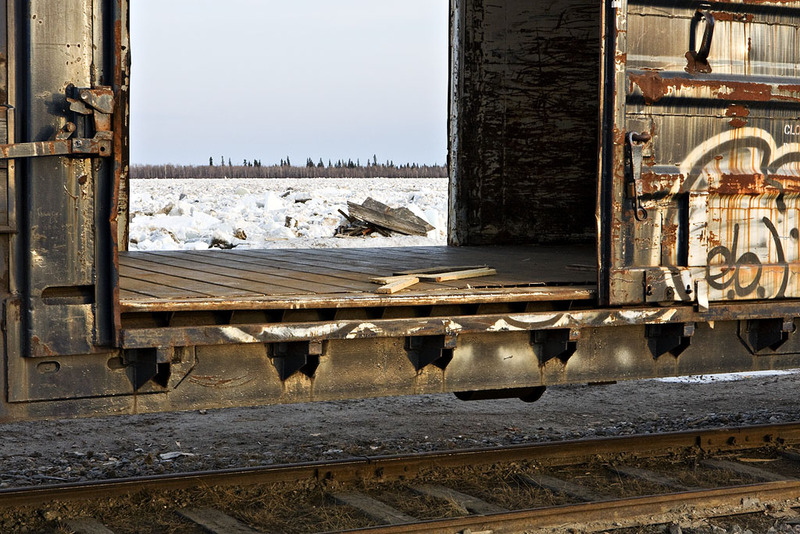 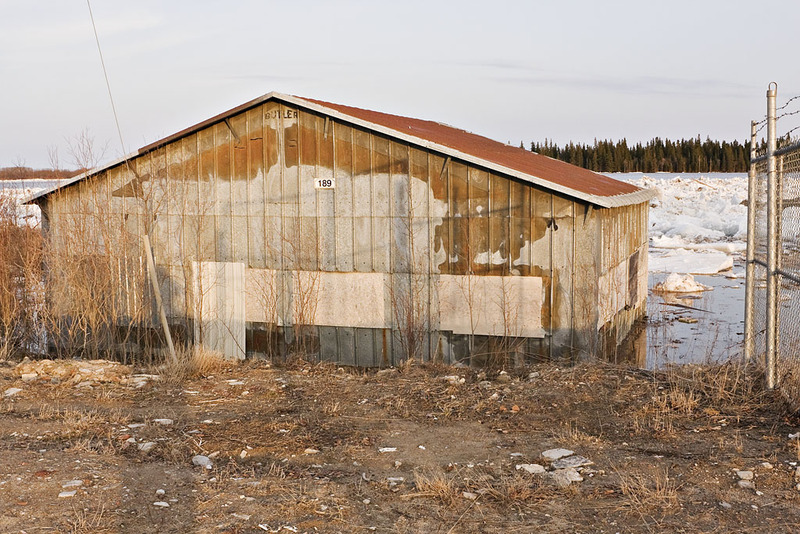 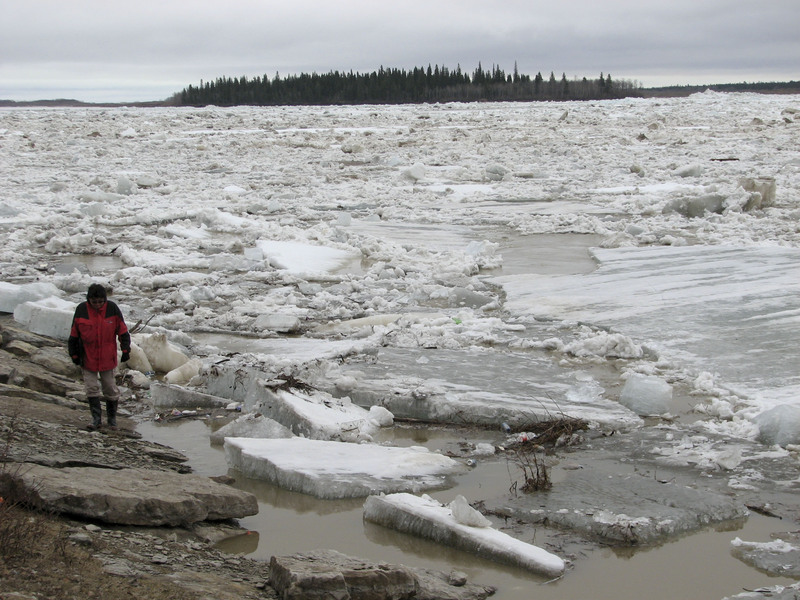 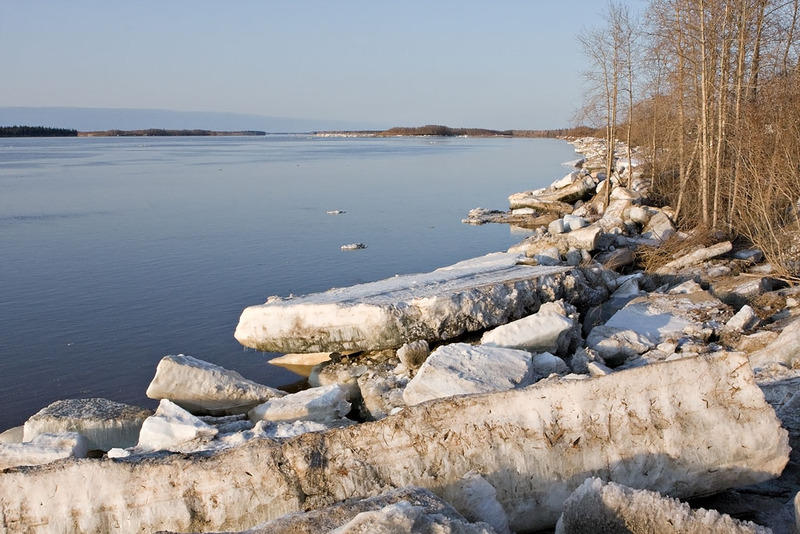 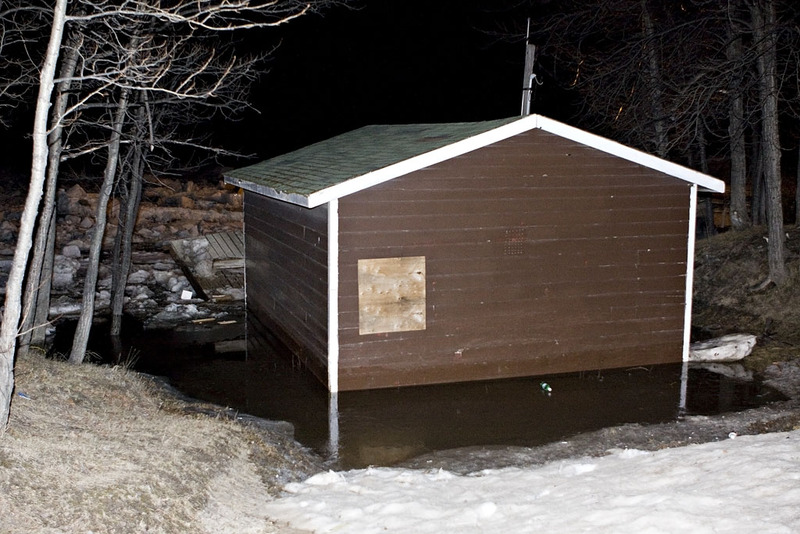 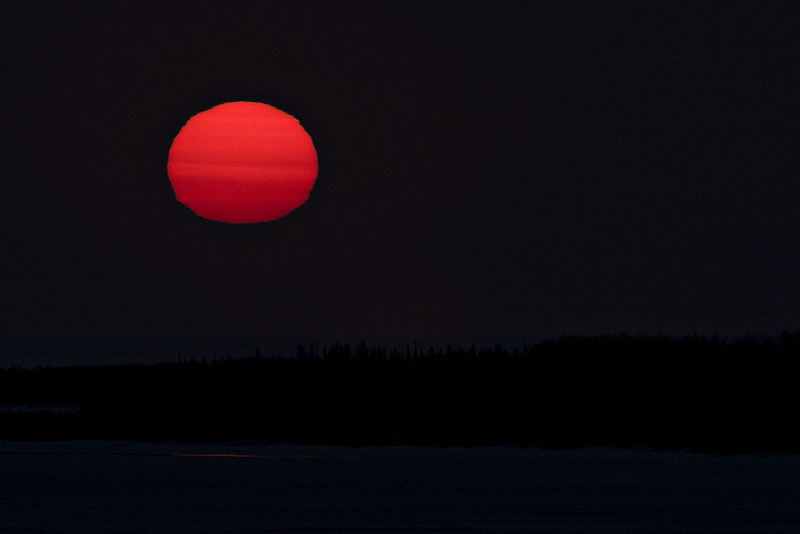 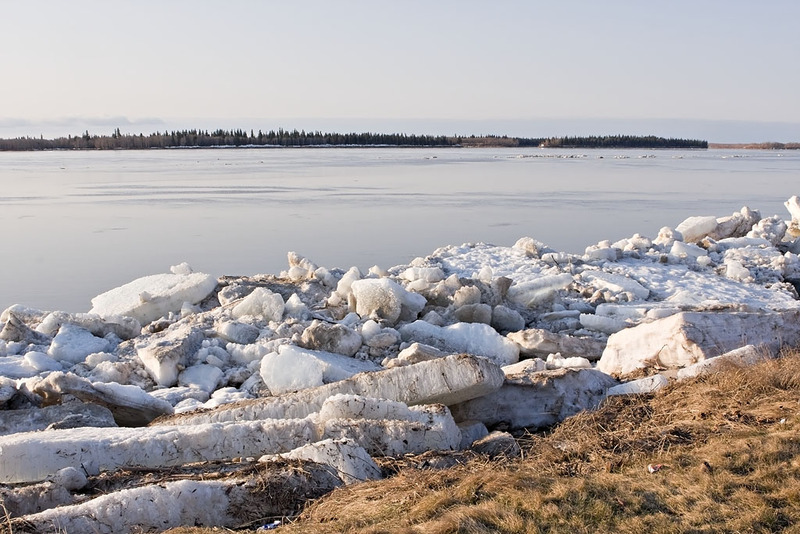 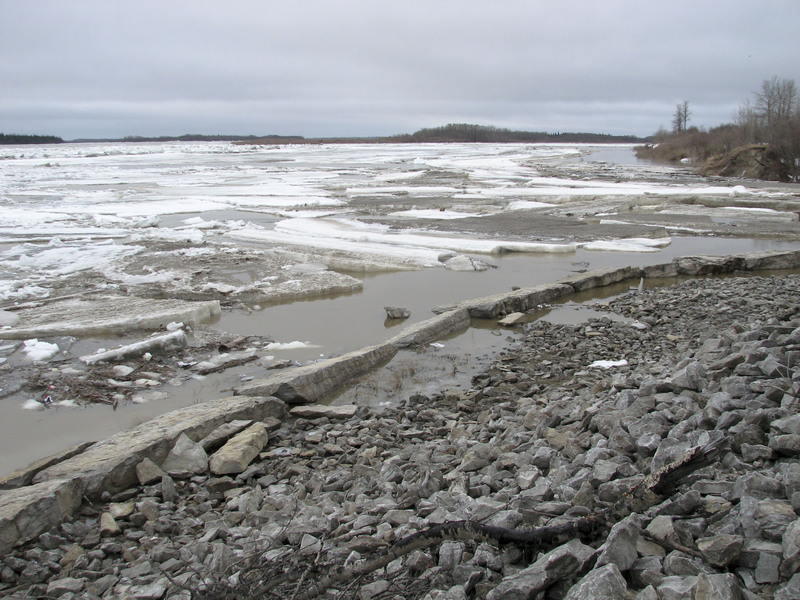 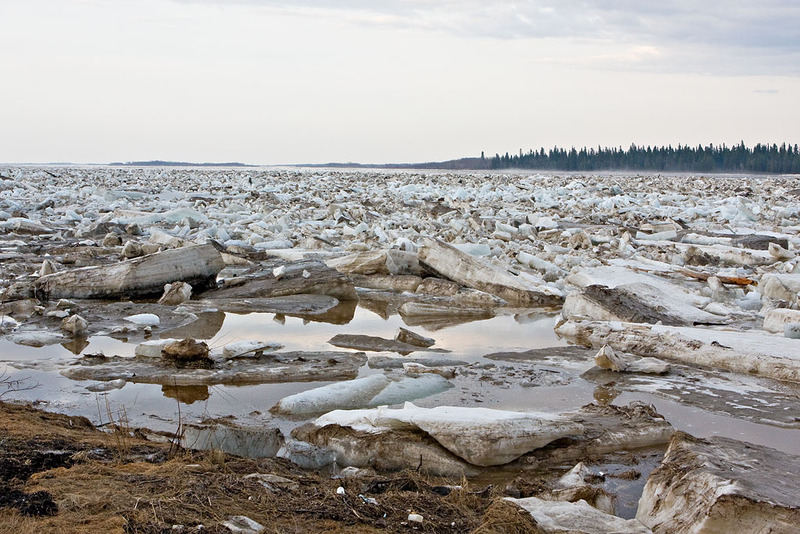 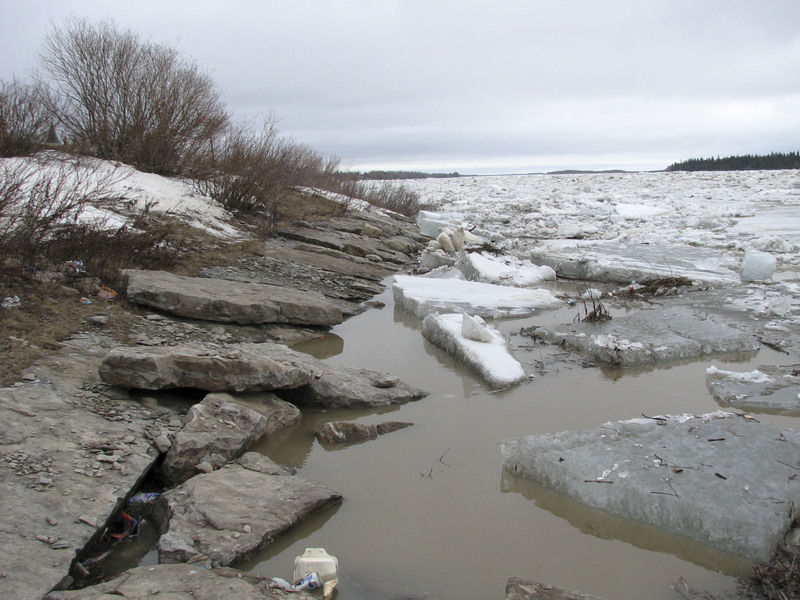 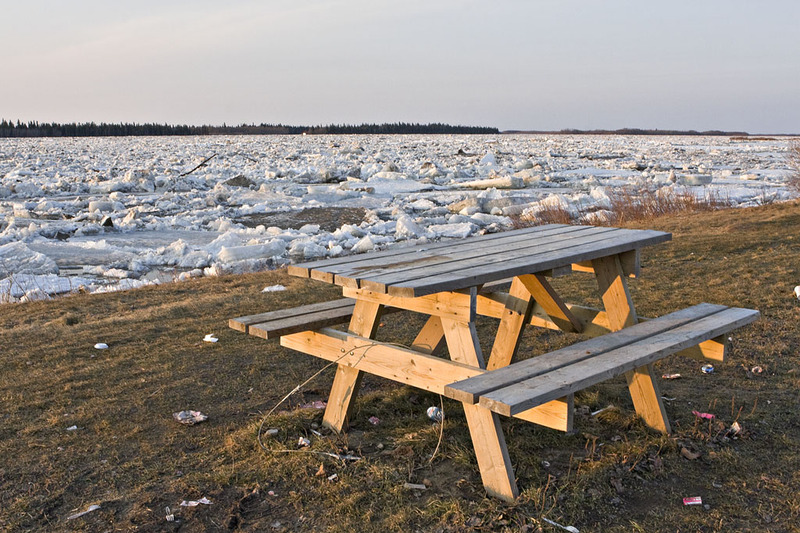 Further north, in Kashechewan and Fort Albany evacuations were necessary.